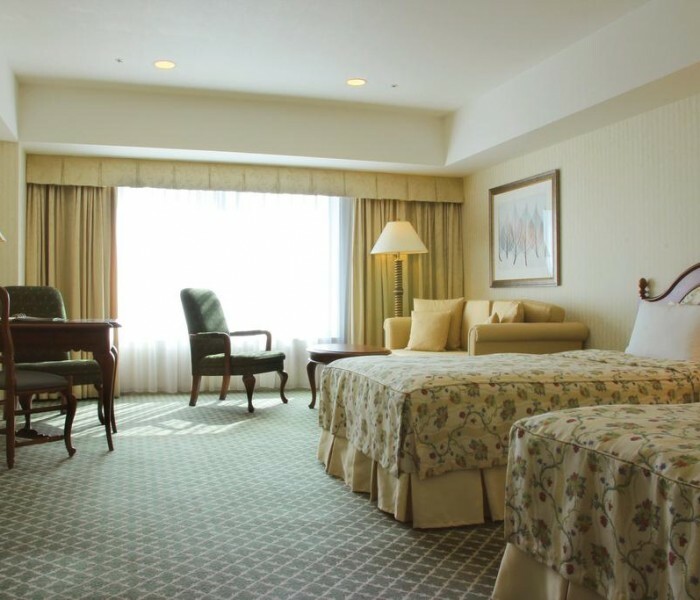 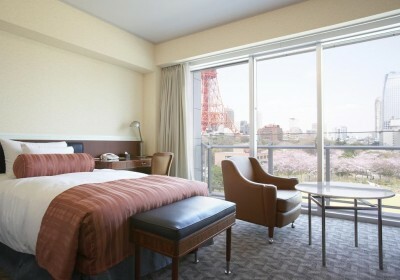 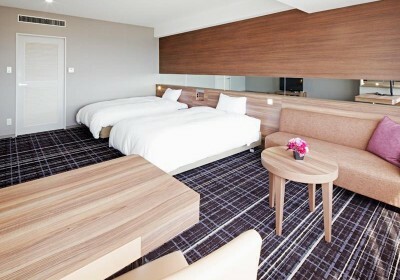 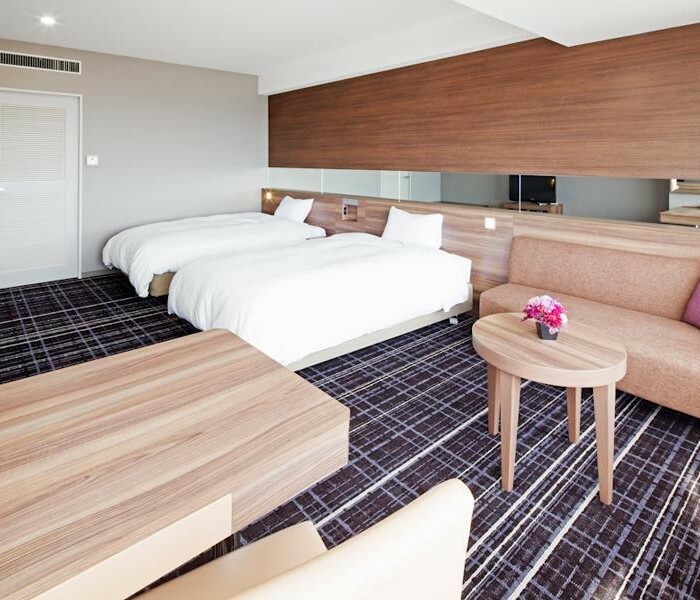 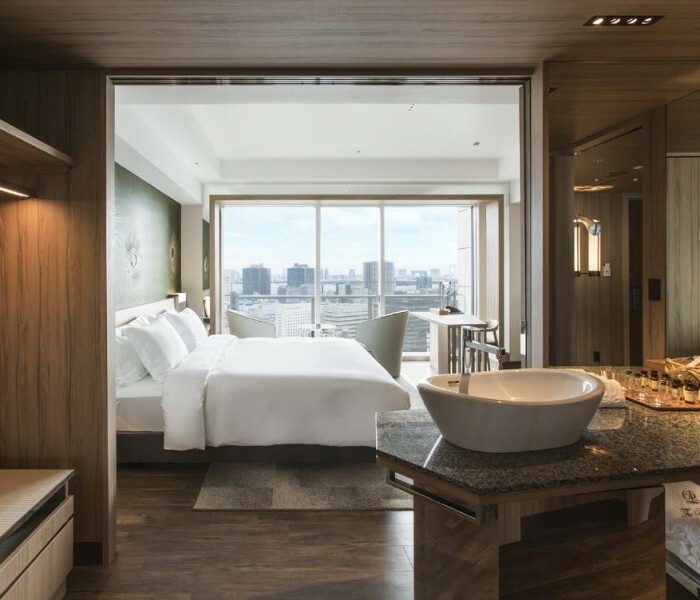 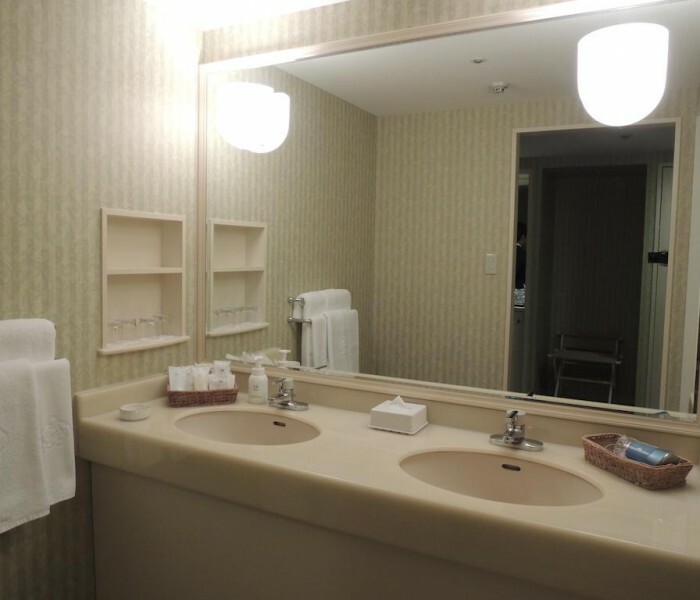 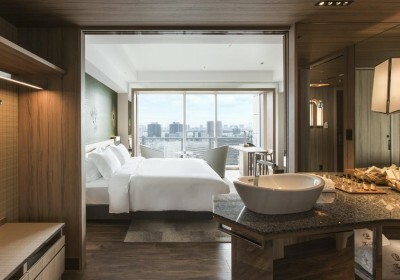 A cozy hotel by Tokyo Tower -- where better to start? 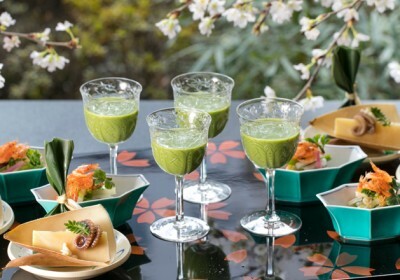 Spring in Japan is all about celebrations. 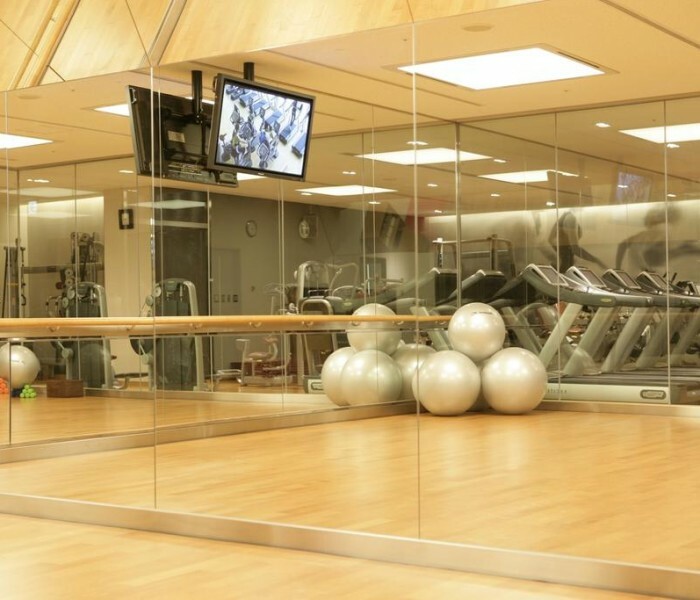 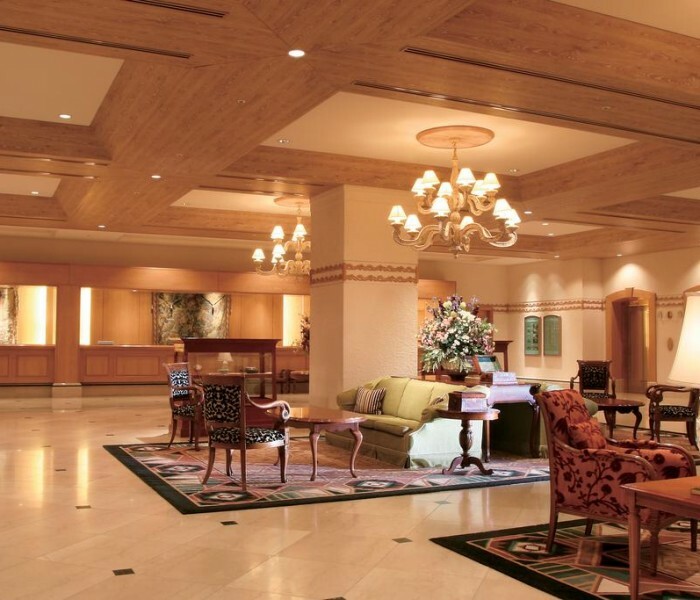 Throughout the country, events are unfolding that draw visitors from around the globe. 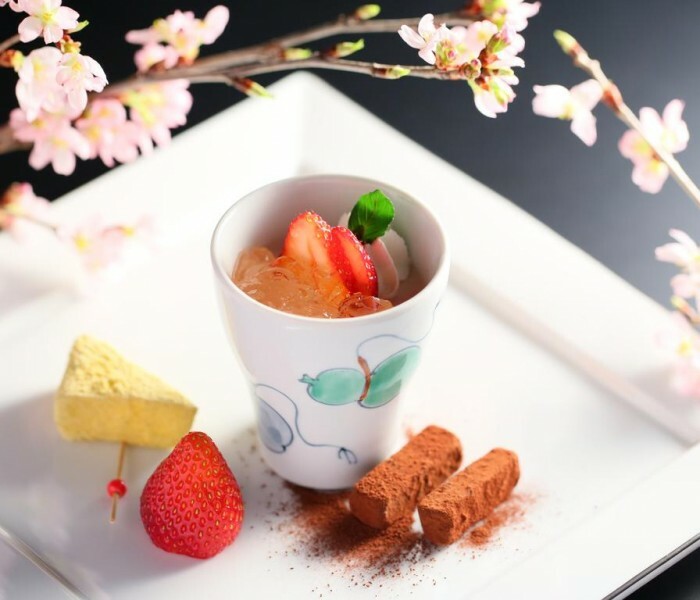 In keeping with the spirit of the season, ILJT presents Festive Sakura, an exclusive tour that only departs on April 10 every year, to bring you to the various festivals that highlight Japan’s nature and culture! 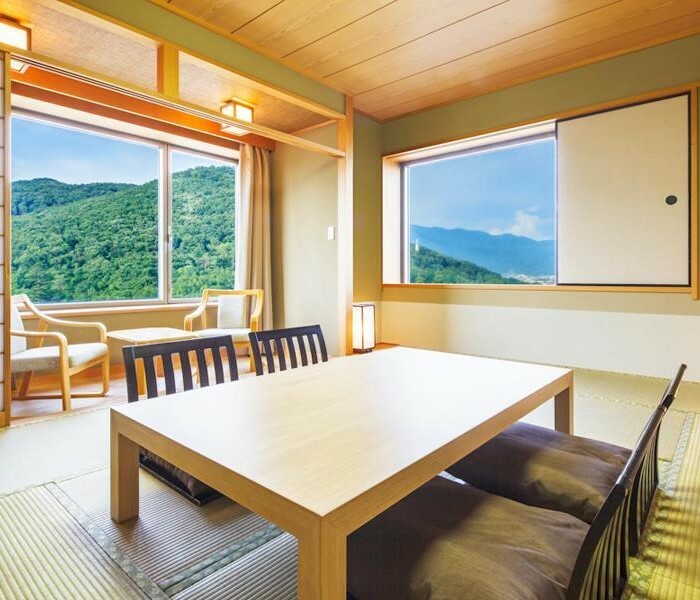 Unlike our classic vernal offerings, which start at the end of March or very early April, this itinerary focuses on the relatively harder-to-access spots in the heart of Honshu. 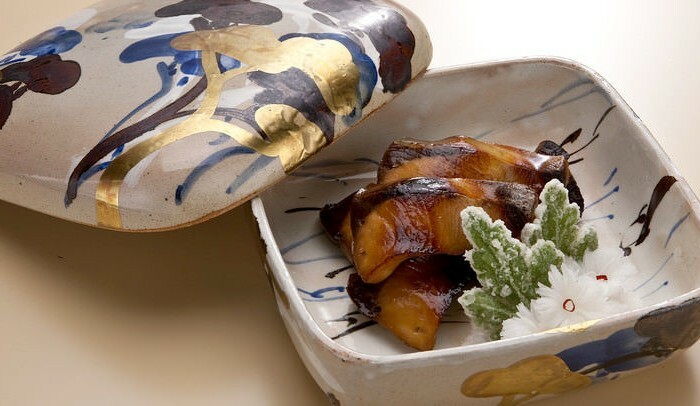 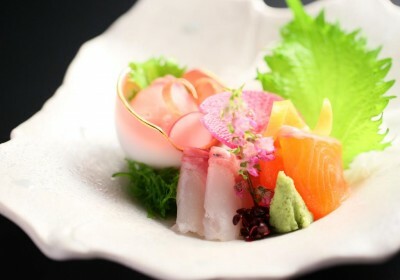 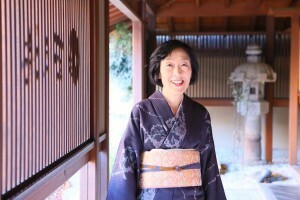 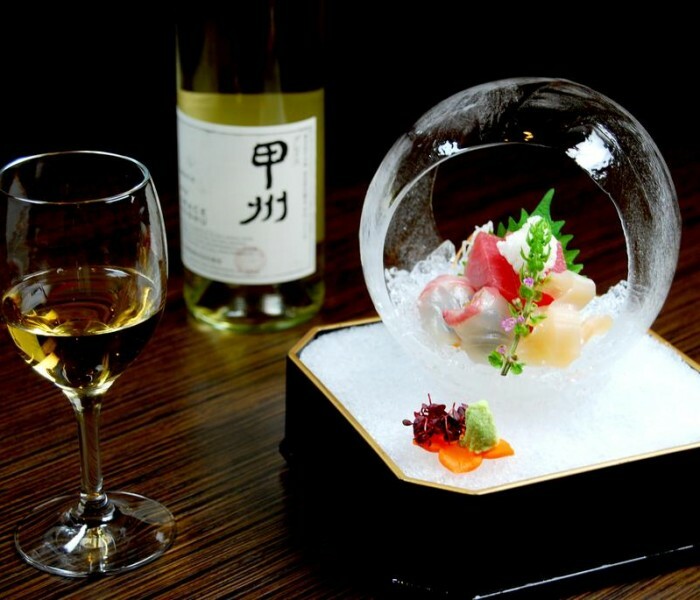 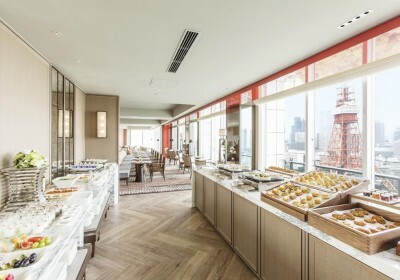 The precise timing of this tour does not allow for much sakura appreciation in Tokyo, which we more than make up for with a day tour tailored around the celebrated Tokyo Tower, including one unique dining experience of tofu kaiseki as the closing meal. 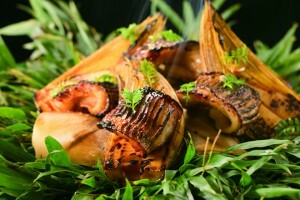 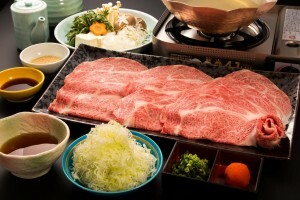 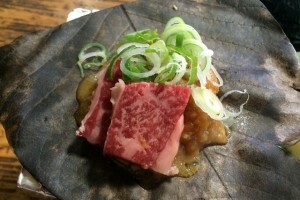 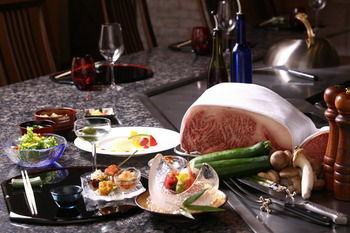 The meat of this trip features the long line of classic attractions from the northern end of the main island to the sacred mountain in the south. 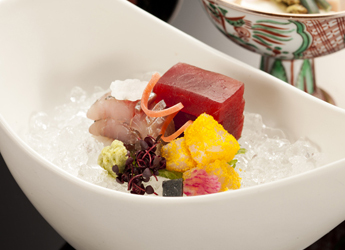 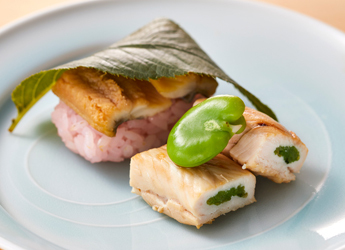 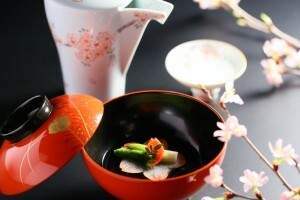 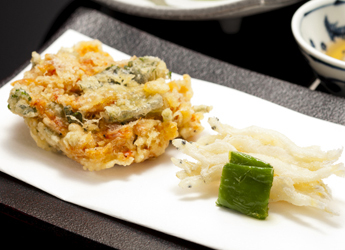 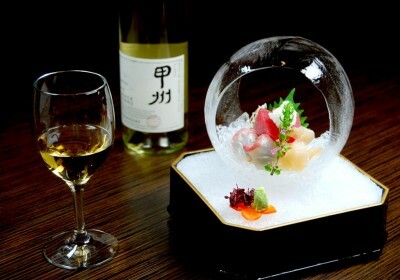 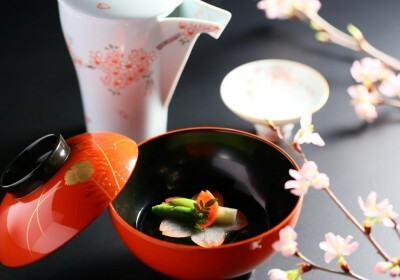 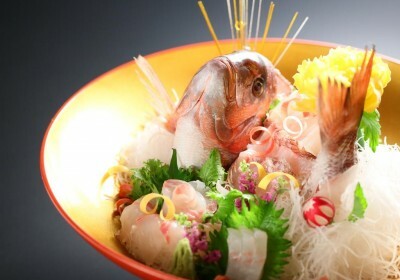 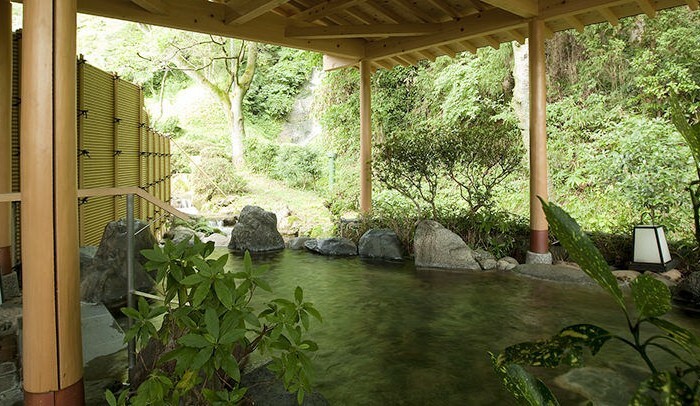 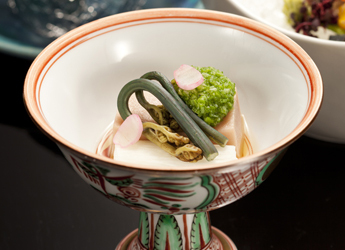 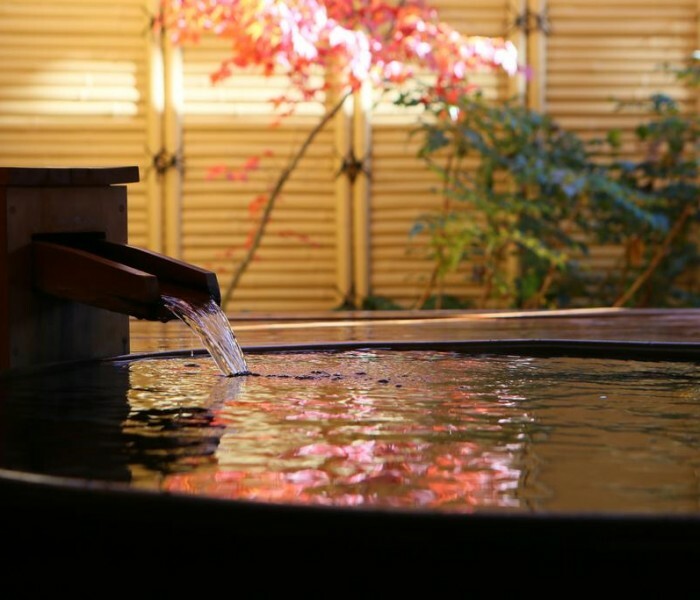 Explore the renowned Kenroku-en, impeccably curated by nature and mankind alike in the peak of spring. 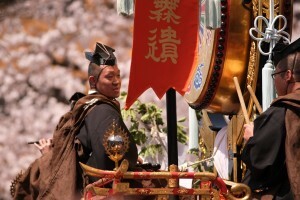 Join the lively crowds in celebrating Takayama Matsuri, and watch the cultural performances and processions. 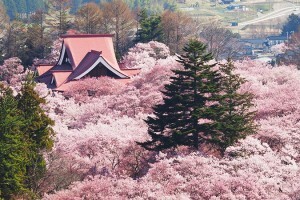 Catch the rare Kohigan-sakura in full bloom, reputedly the most beautiful variant of cherry blossoms in the whole world. 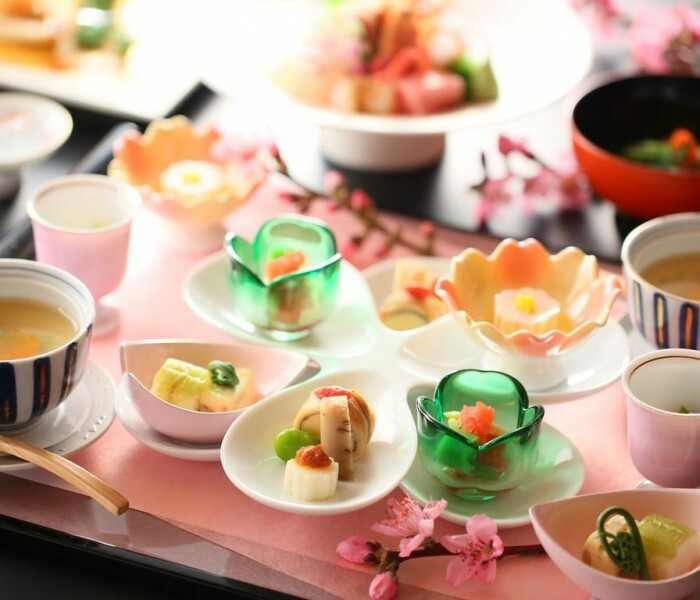 There is so much going on in Festive Sakura -- see for yourself the wonders that await you in Japan! 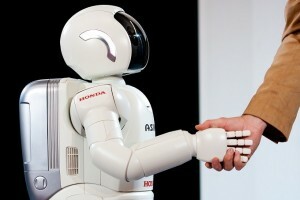 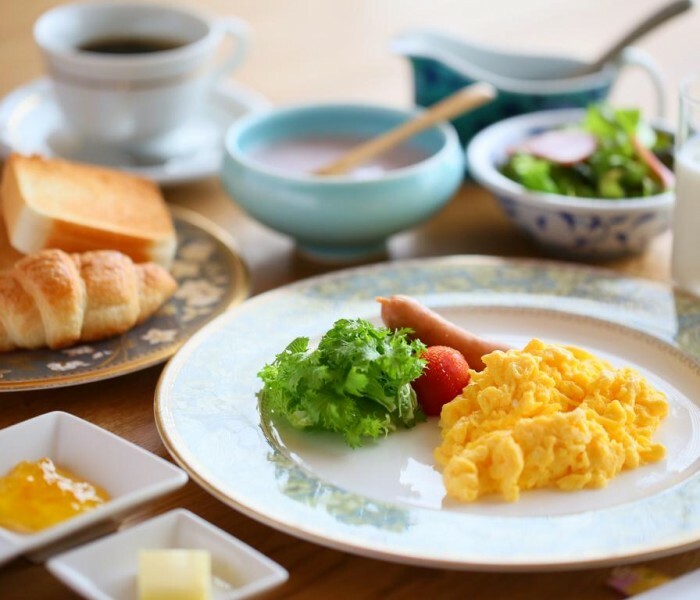 An English-speaking guide will accompany you on Days 2, 3, 4, 5, 6, 7, 8, and 9. 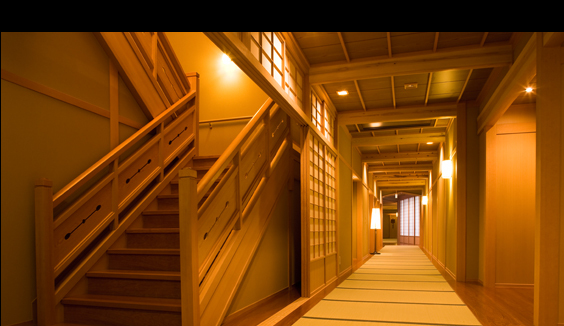 The guide will be at your service during the designated tour hours. 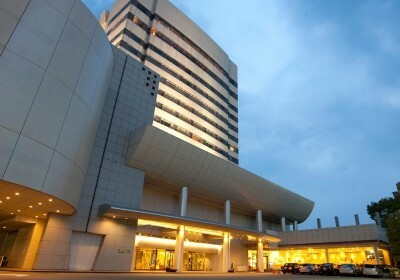 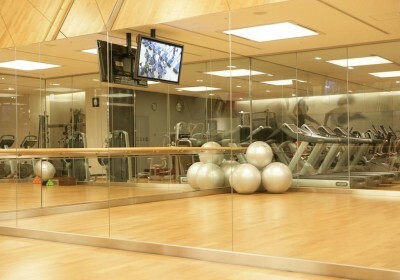 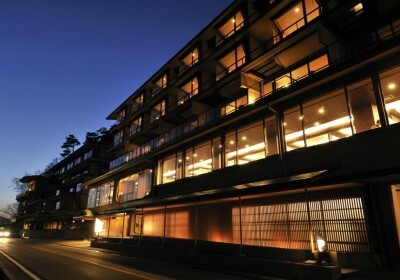 Please note that the guide will be staying at the same hotel as you on Days 3, 4, 5, 6, 7, and 8 for logistical reasons. 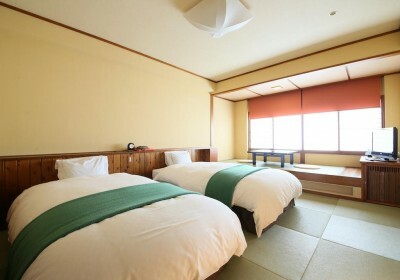 The guide will also pick you up at the airport if your flight arrives during working hours (between 9 AM and 5 PM, Japan time). 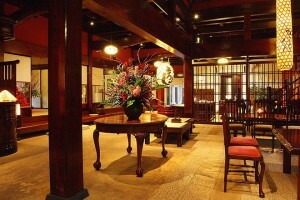 In the event that your flight arrives early, we can arrange a half-day tour on the day of arrival at an additional cost. 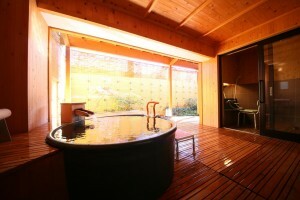 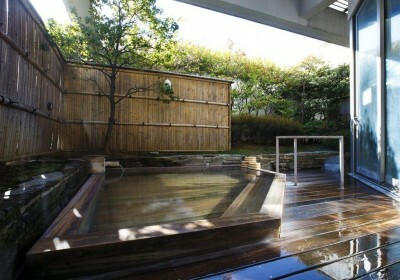 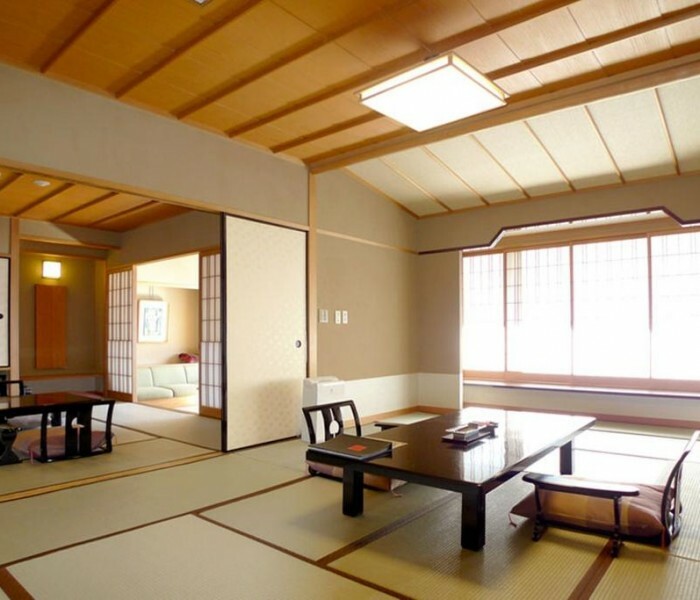 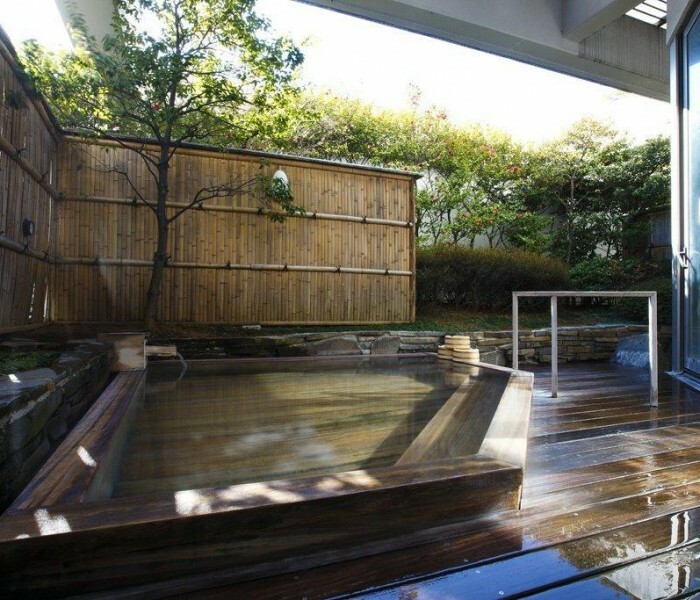 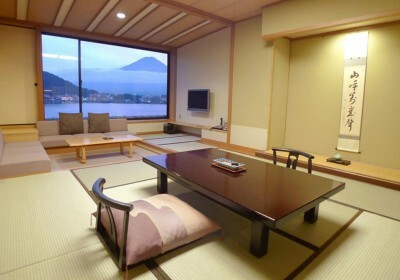 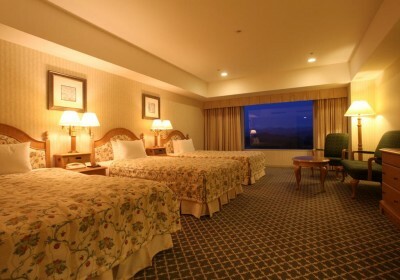 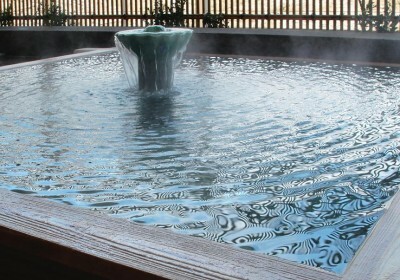 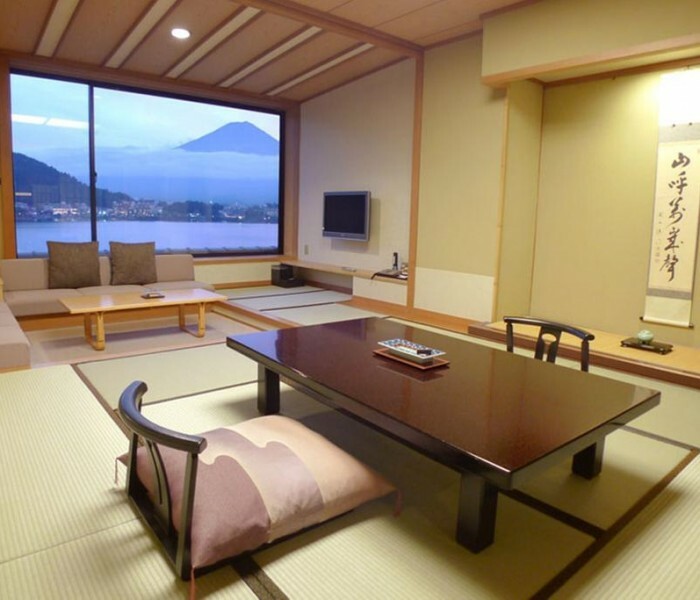 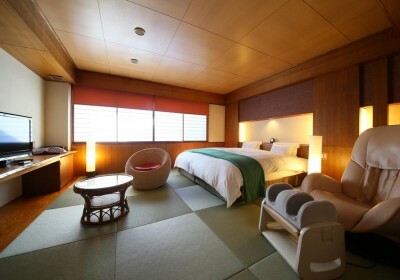 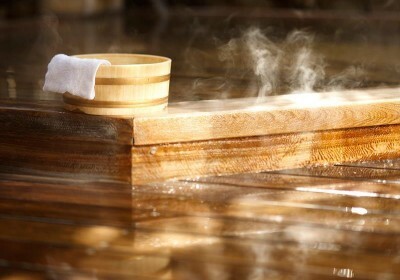 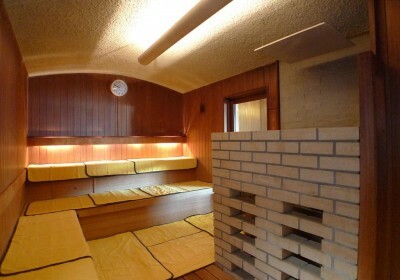 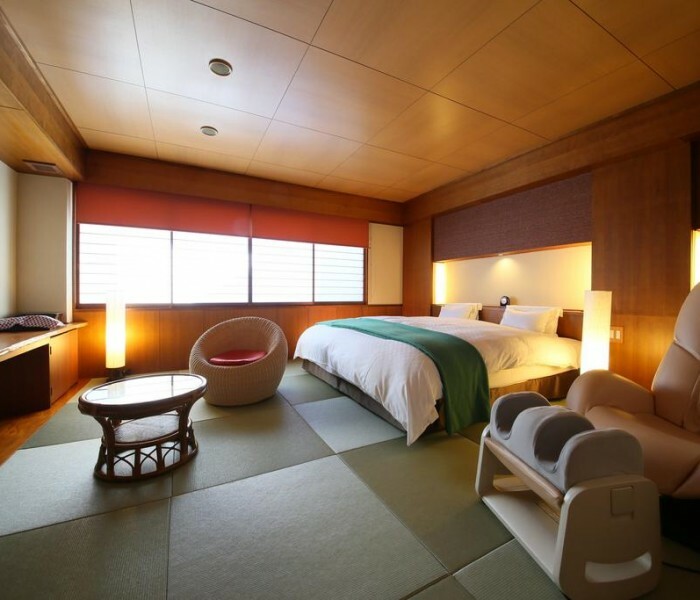 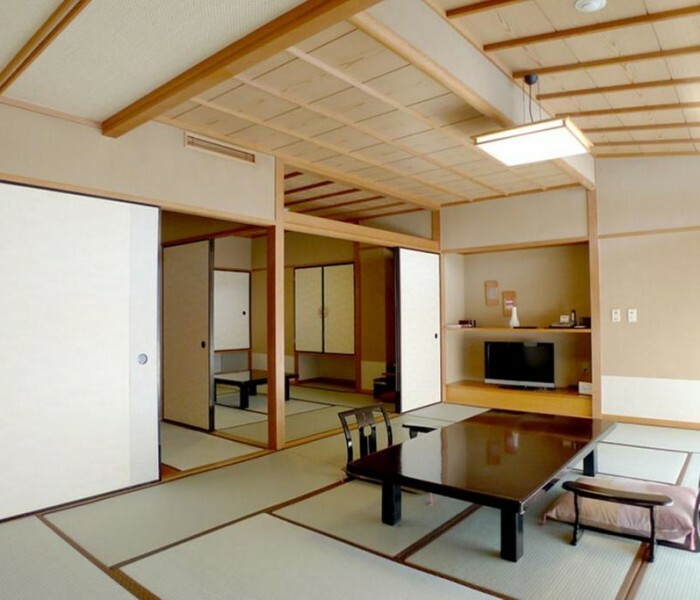 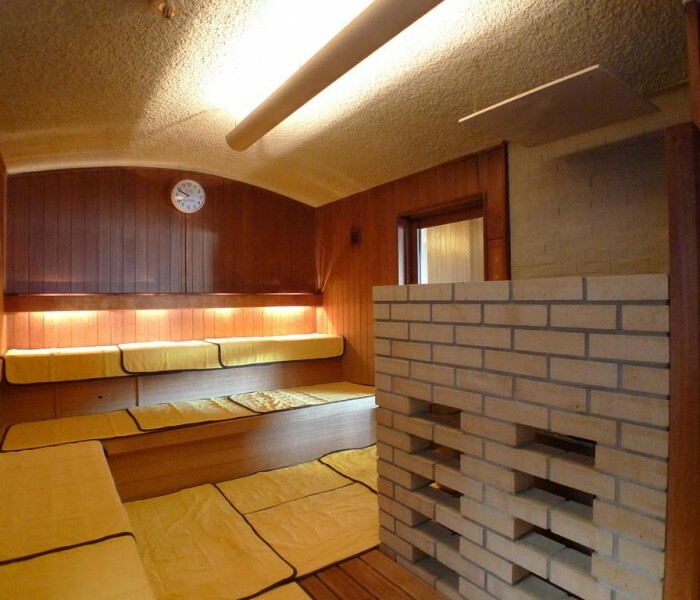 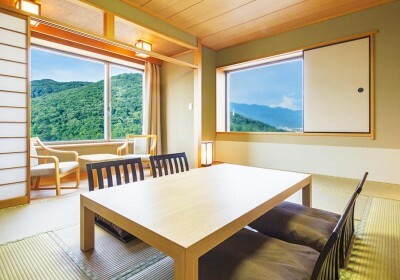 The tour price includes six nights in 3- or 4-star hotels and three nights in predesignated ryokan (Japanese-style inns). 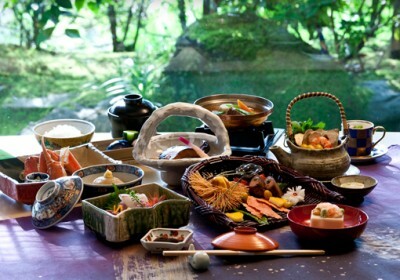 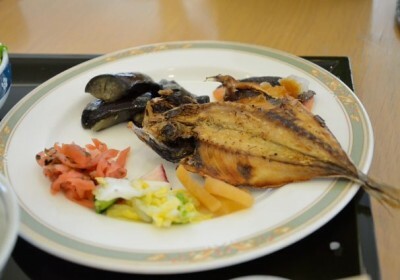 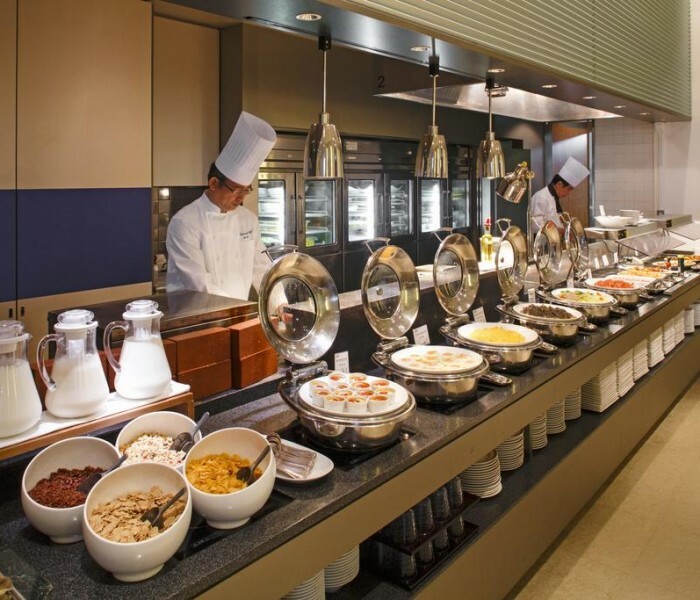 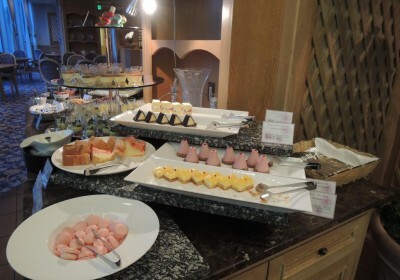 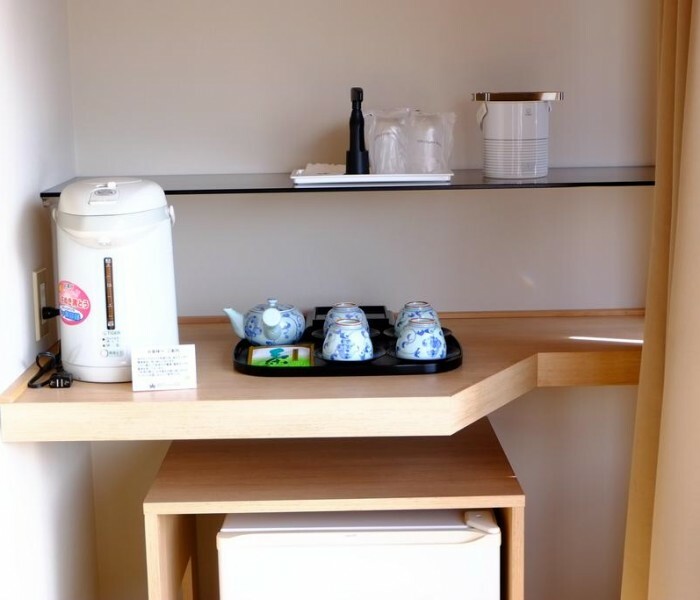 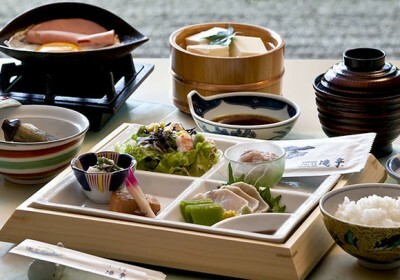 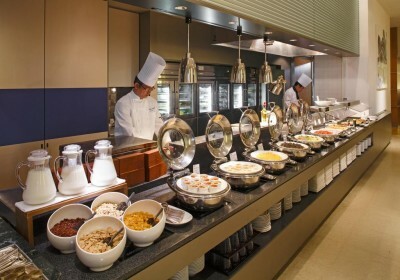 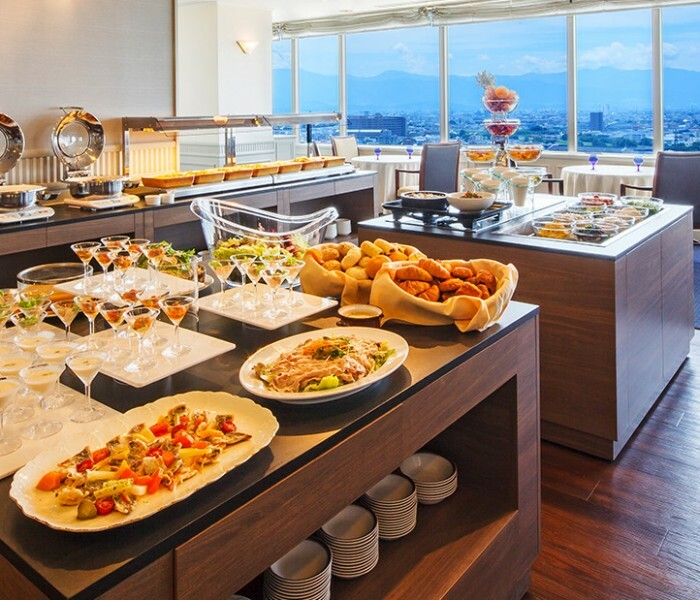 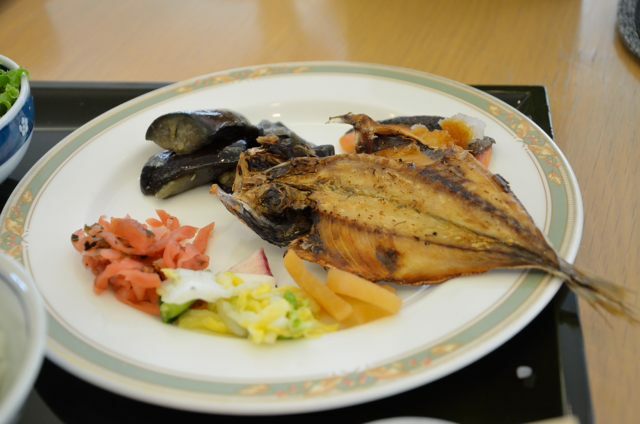 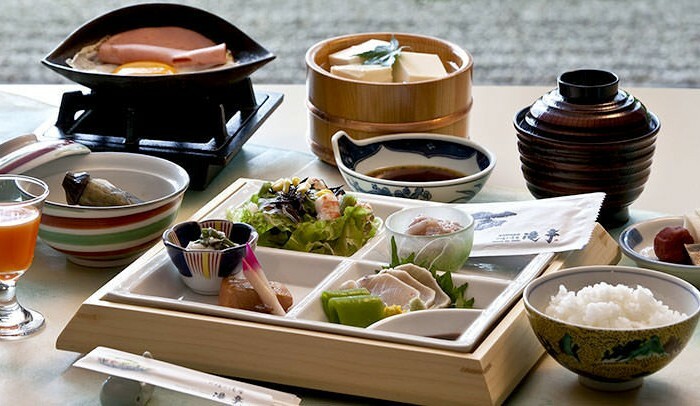 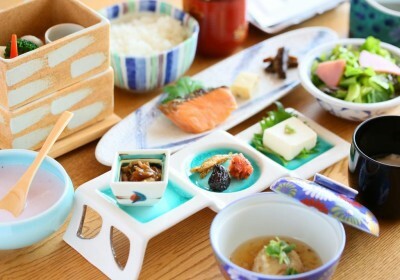 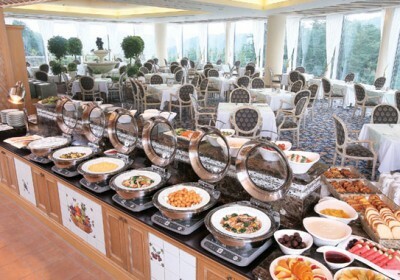 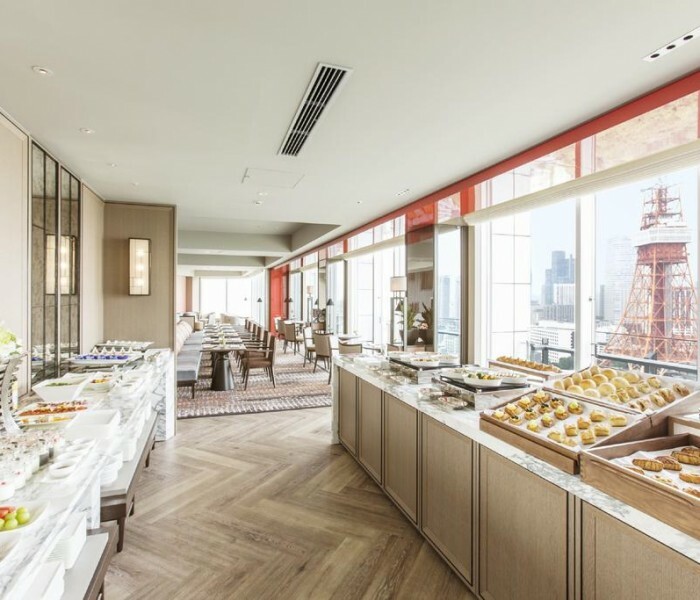 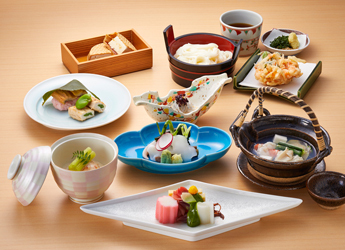 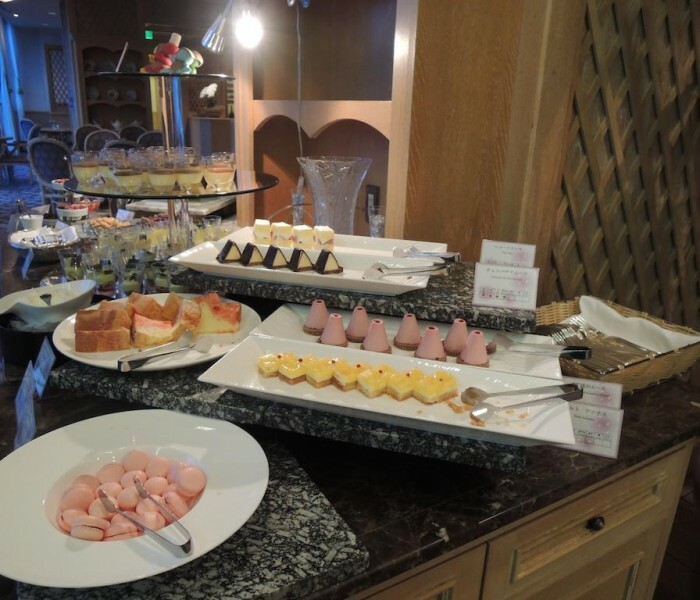 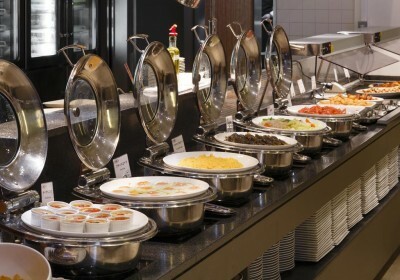 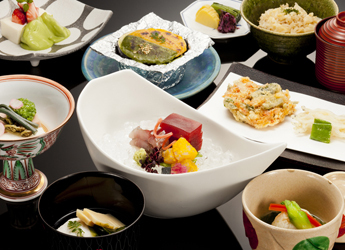 Breakfast is included for each night’s stay in a hotel, whereas both dinner and breakfast are included for every night in a ryokan unless otherwise specified in the itinerary. 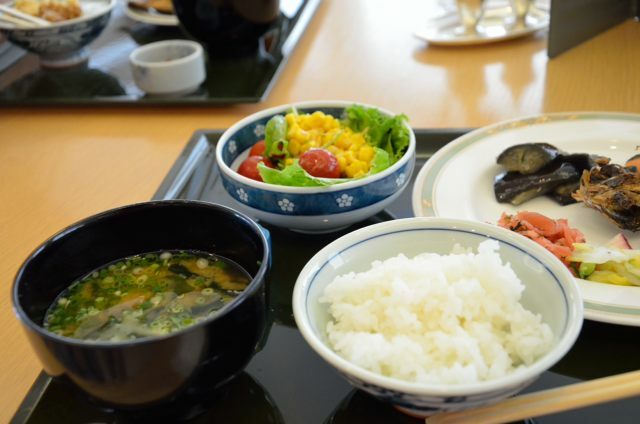 Lunch is provided on Days 2, 3, 4, 6, 7, 8, and 9. 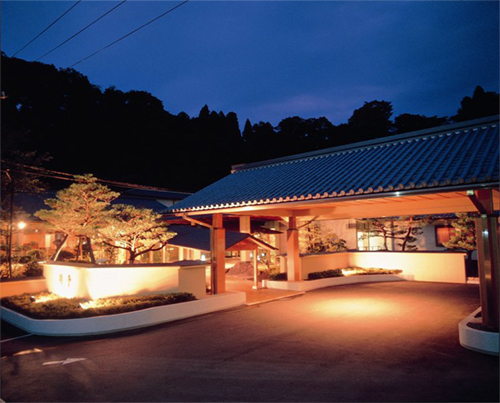 Dinner outside of the pre-included ryokan meal is provided on Day 7. 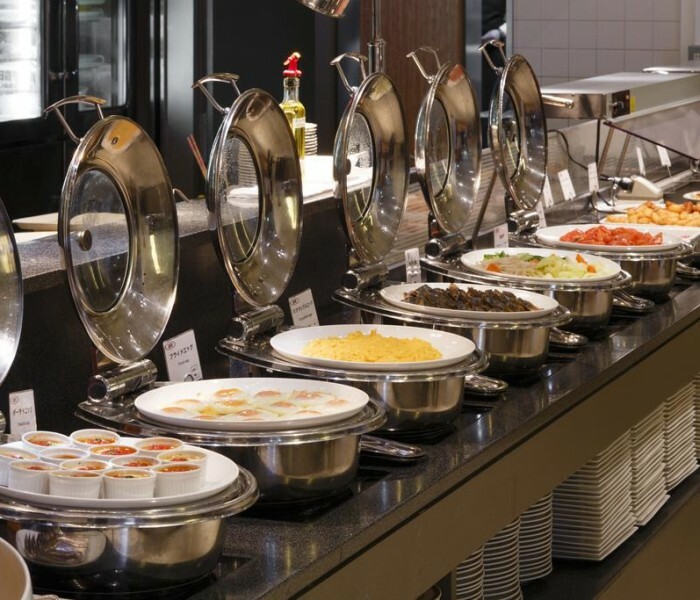 As you can only check into your hotel starting at 3 PM, in the event that your flight arrives early, we can arrange lunch on the day of arrival at an additional cost. 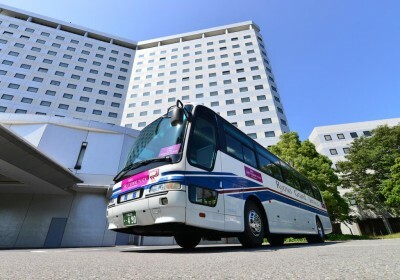 The tour price includes the service of a driver and a private car on every guided day. 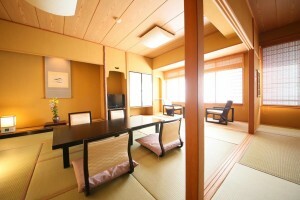 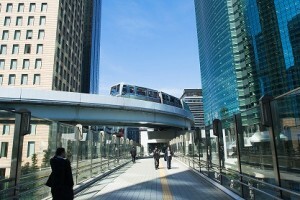 It also includes a scheduled bullet train transfer between Tokyo and Kanazawa on Day 3. 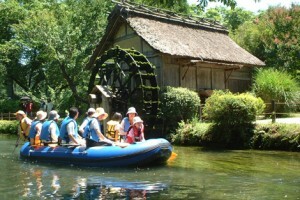 The driver and car will be available only during the designated tour hours, and only for the included destinations. 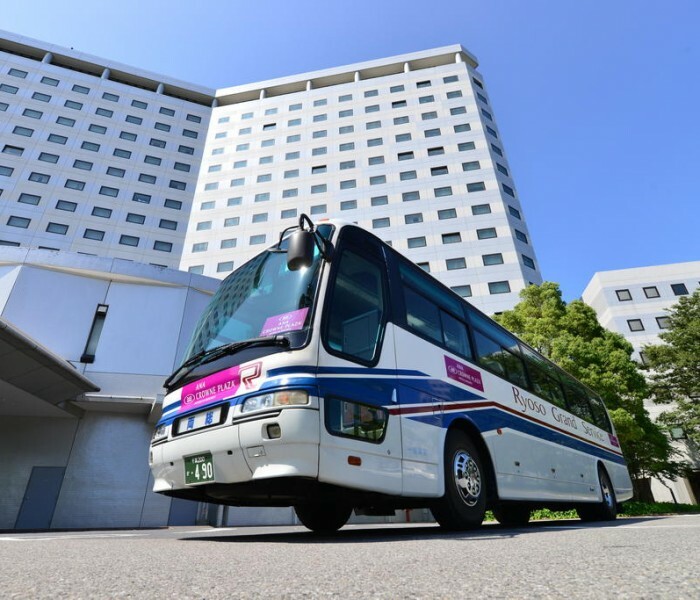 Please note that the driver will be staying at the same hotel as you on Days 6, 7, and 8 for logistical reasons. 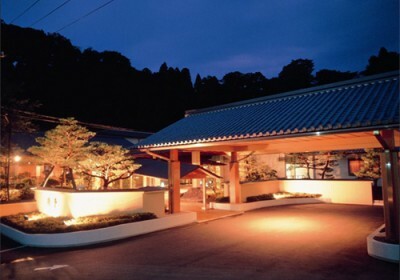 Airport pickup is also included if your flight arrives during working hours (between 9 AM and 5 PM, Japan time). 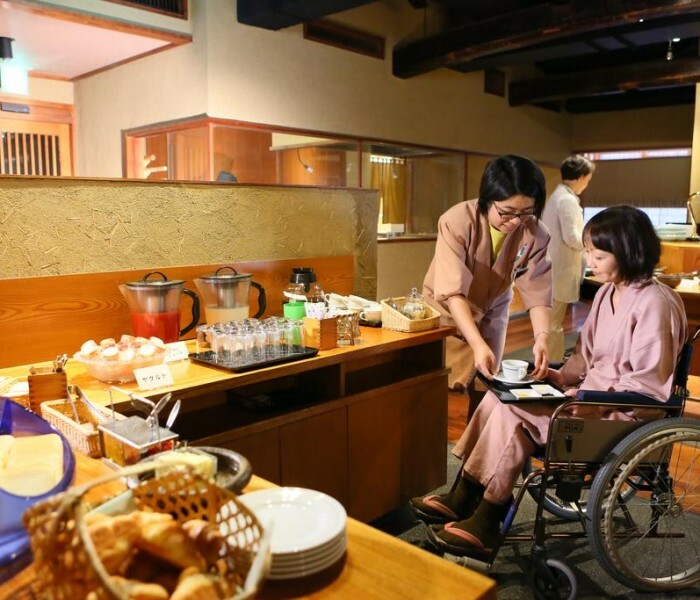 In the event that your flight arrives early, we can extend the use of the private car for the purposes of lunch or a half-day tour at an additional cost. 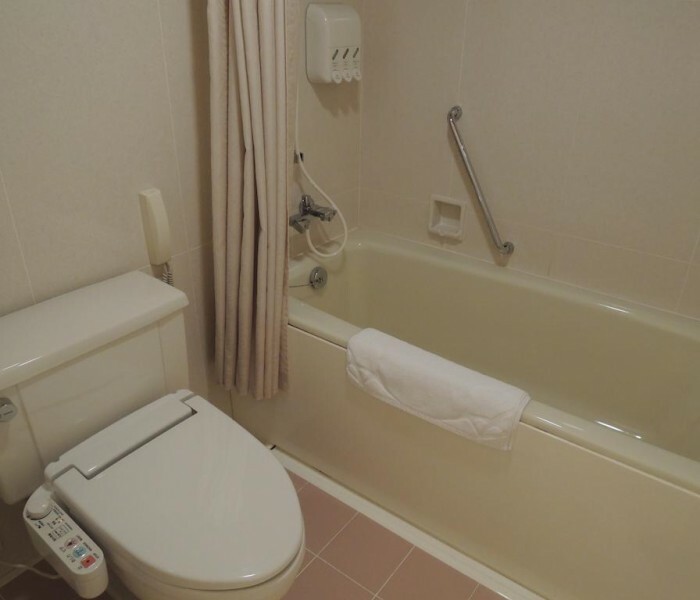 Please note that airport transfer for departure is not included. 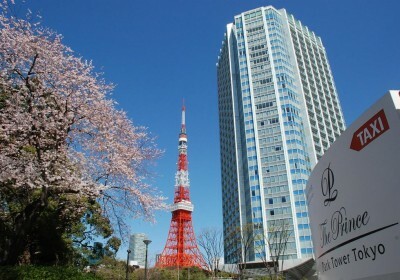 More than ten days into April, most of the cherry blossoms in Tokyo will have been past their peak. 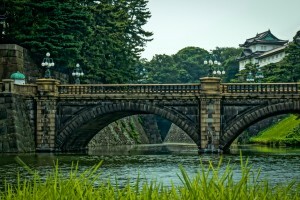 However, the city of Tokyo is still not one to be missed! 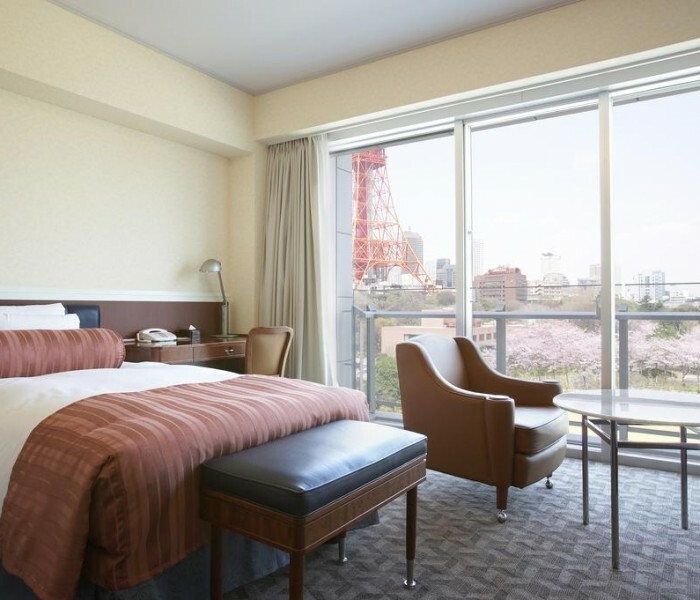 As the only metropolitan city in the itinerary, Tokyo offers modern attractions that complement its rich culture from the olden Edo days. 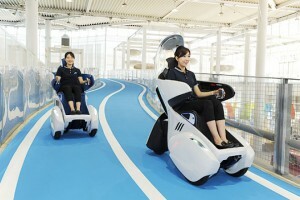 Your first destination is thus the appropriately futuristic Odaiba, where you will find the showroom for a respected and storied Japanese carmaker. 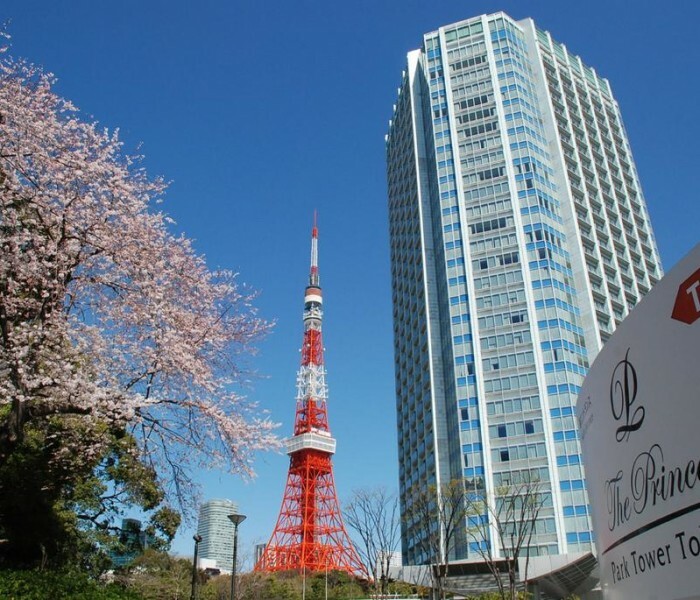 The celebrated Tokyo Tower is the centerpiece of today’s tour, as it is visible from every place of interest. 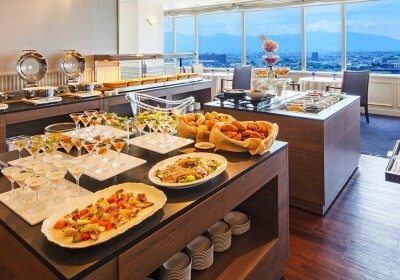 You will get an impressive bird’s eye view of the city’s skyline from atop its observation deck. 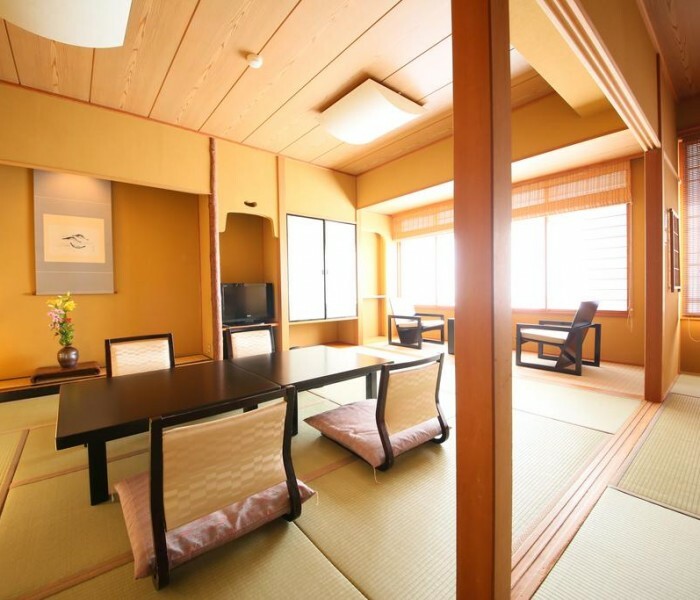 From the nearby temple Zojo-ji, which honors the legacy of the shoguns of Edo, the bright red visage of the majestic landmark will complete the harmony of past and present that defines Tokyo. 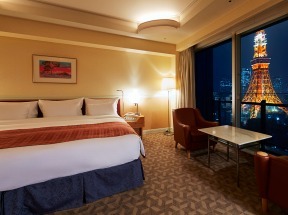 And in the evening, you will see the illuminated tower from your hotel window. 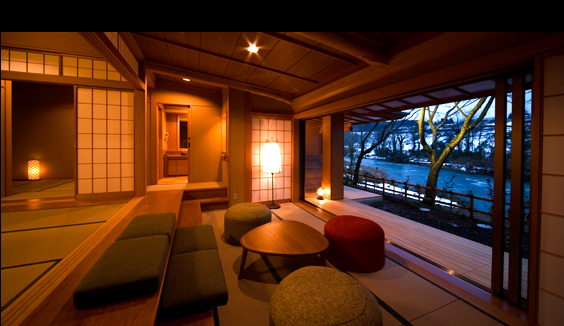 From the bustle of Tokyo to the refinement of Kanazawa -- your bullet train transfer today brings you from one end of Honshu to another. 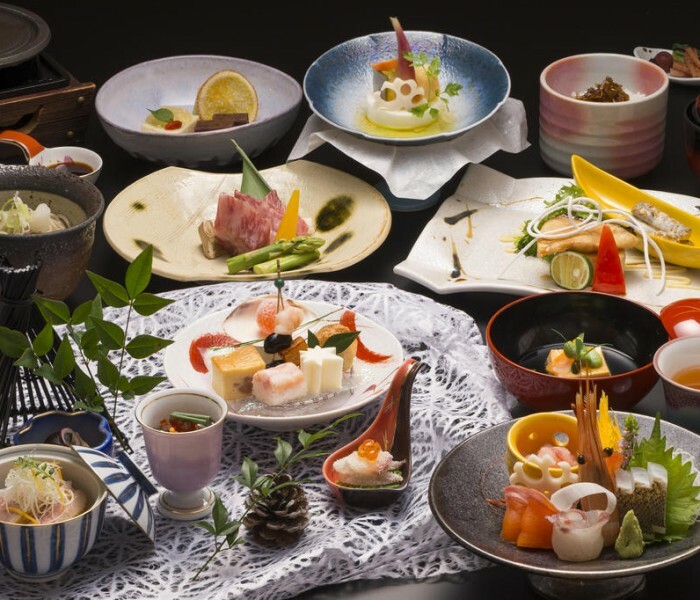 Thus begins a week of festivity, where your journey southward to slowly make your way back to Tokyo will be colored by a fantastic explosion of colors and crowds. 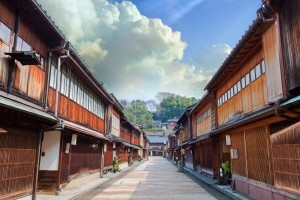 This former samurai city is your starting line, and what a strong start it is! 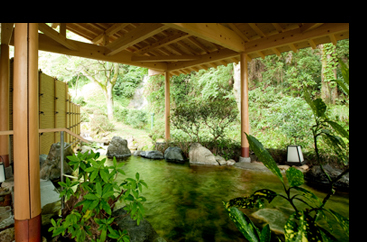 Kanazawa is perhaps most known for Kenroku-en, and you will understand why as you explore the garden at its absolute best. 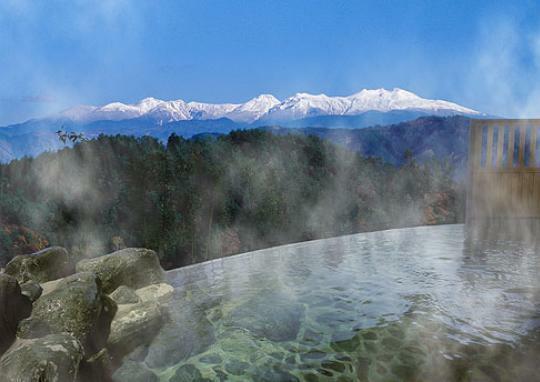 The entirety of Kenroku-en is a dreamlike experience, from the beautiful Hisago-ike and Kasumiga-ike ponds to the romantic Hanami-bashi bridge, from the mysterious half-uprooted pine tree to the old stone tablet carved with haiku poetry. 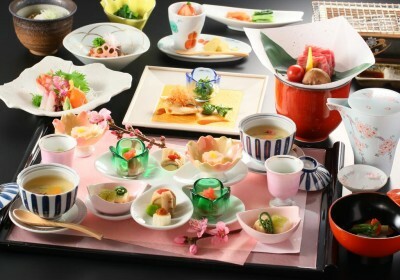 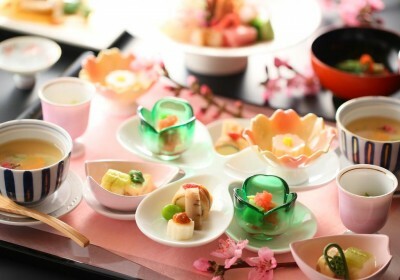 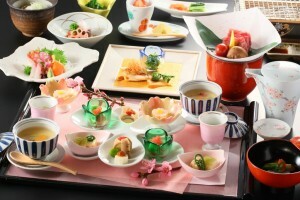 During the sakura season, the garden is especially lively with the many stalls selling festival goods and food. 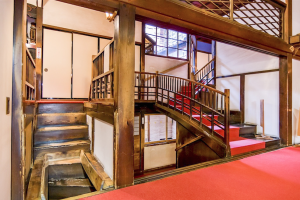 The unassuming but deceptively tricky Ninja-dera is a hallmark of Kanazawa that you cannot miss -- it will be your first stop of the day before leaving the city. 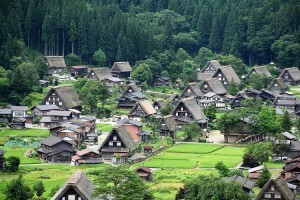 Afterward, you will head south to the famed Historic Village of Shirakawa-go, a remote mountain settlement with some of Japan’s most cherished architecture, where you will spend a pleasant vernal afternoon. 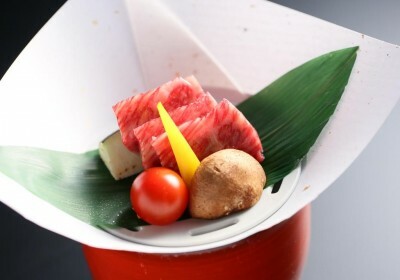 You will be served the illustrious beef of the Hida region for lunch before continuing with your sightseeing around the village. The serene landscape surrounded by mountains is especially picturesque in spring, where the buds of a fresh beginning meet the barely thawed snow. 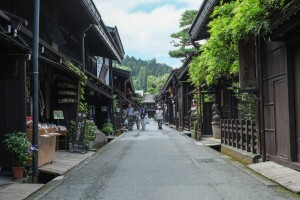 Late in the afternoon, you will continue your journey onward to Takayama, the venue of the festival tomorrow. 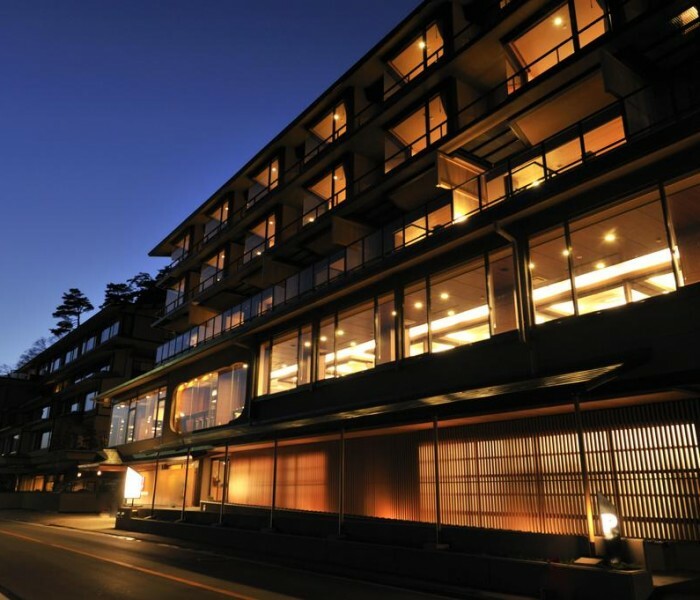 The elusive, exclusive event that takes place every 14th and 15th of April in Takayama is a story of excitement that writes itself. 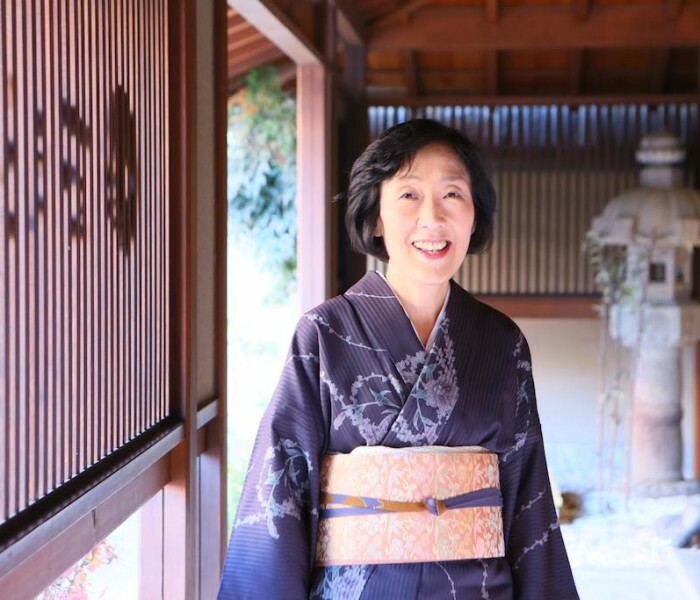 You will be joining the crowd of thousands in celebrating one of the most beautiful festivals in the country, the Takayama Matsuri. 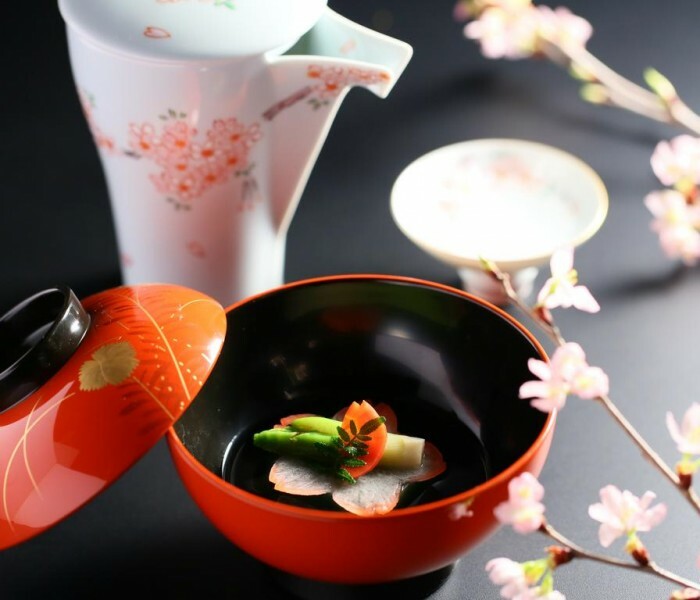 Ornate yatai floats, karakuri puppet performances, and a Shintoist procession across the town liven up this remarkable spring festival. 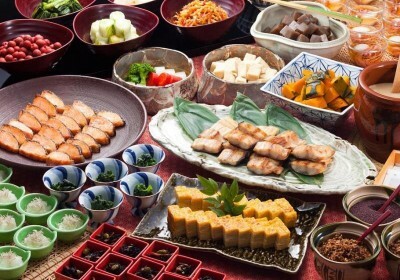 Expect an unforgettable cultural experience as you interact with the locals in this highly anticipated occasion. 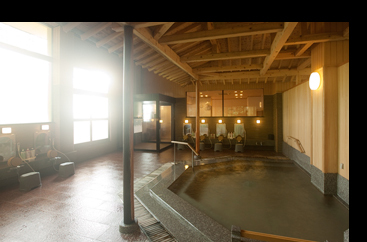 Leaving the still lively Takayama in the morning, you will be taken to one of the most important cities in Nagano Prefecture. 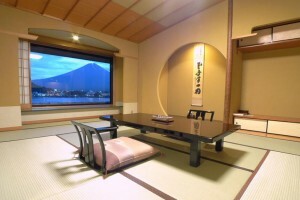 Matsumoto is surrounded by mountains, and is best known for its ironically flatland castle. 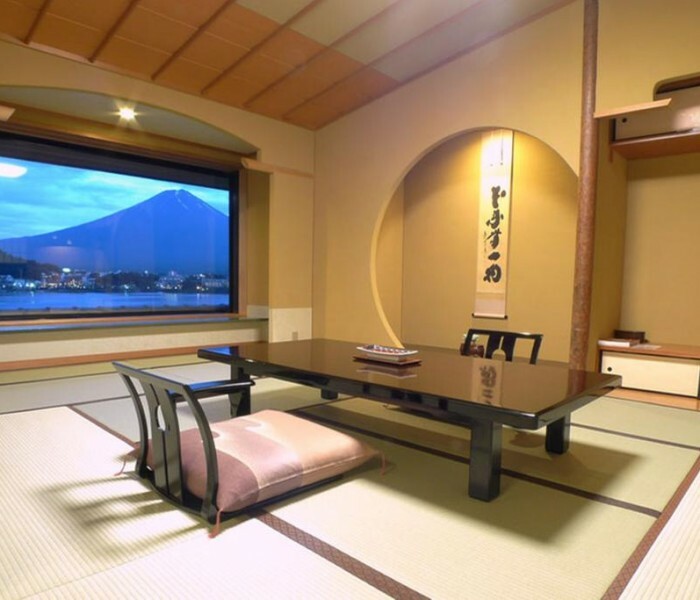 Also known as the “black raven fortress”, Matsumoto Castle is one of the top three castles in Japan, its wooden structures having survived since its construction in the 16th century. 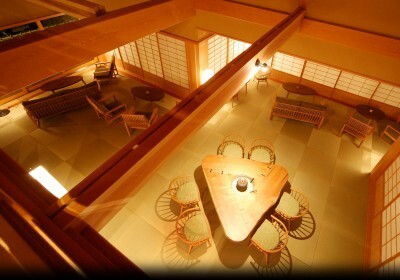 It is also one of the most popular cherry blossom spots in the country. 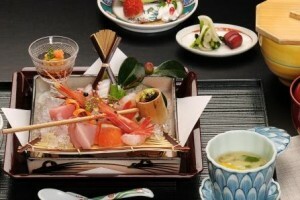 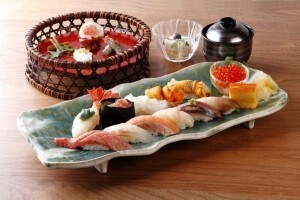 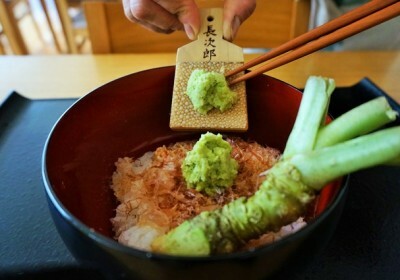 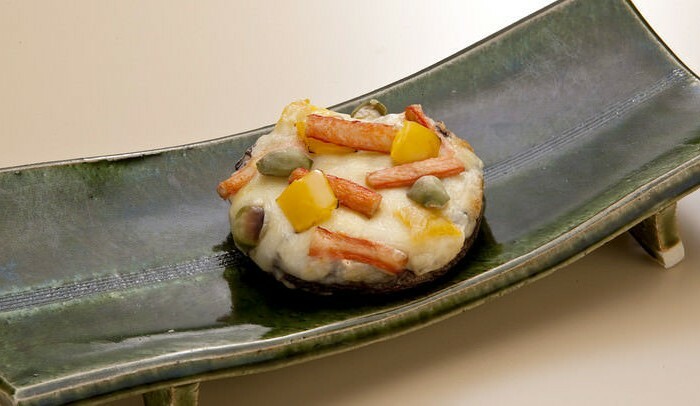 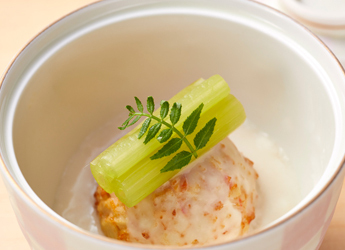 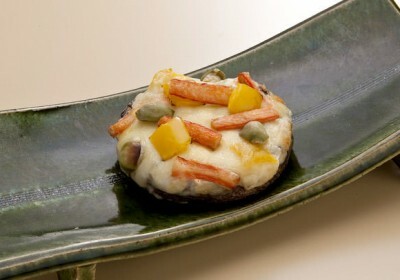 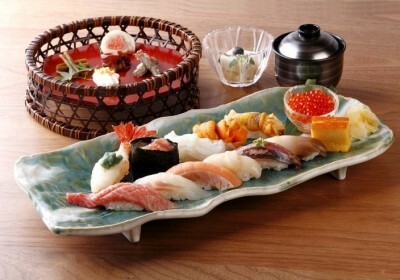 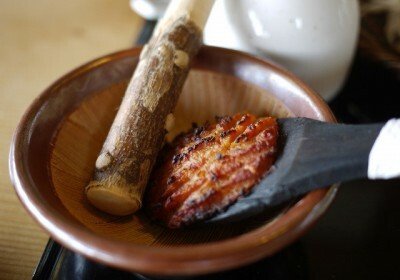 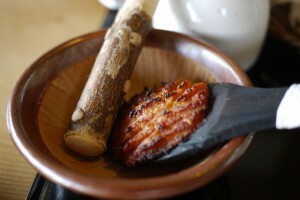 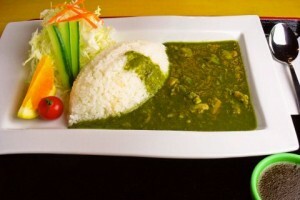 In the afternoon, you will enjoy lunch in a wasabi farm just outside Matsumoto. 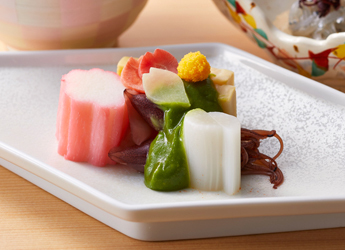 The Daio Wasabi Farm is the largest in the world. 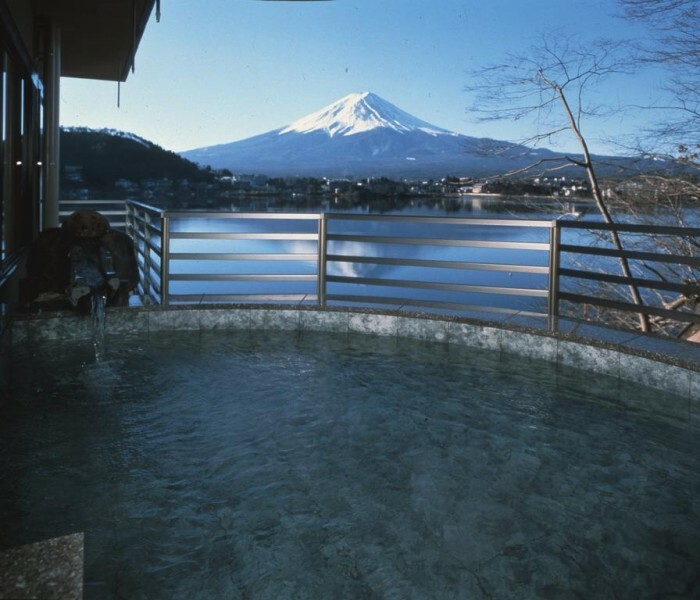 The Japanese horseradish in this farm is grown with clear water flowing from the mountains, and it is a great example of mountain harvest. 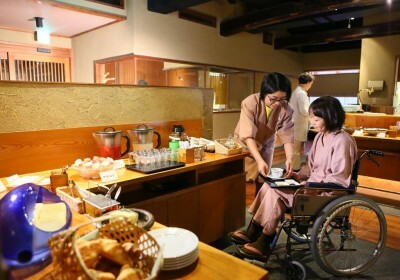 Apart from trying out and buying different wasabi products, the farm also offers very scenic walking trail along the river and between the fields. 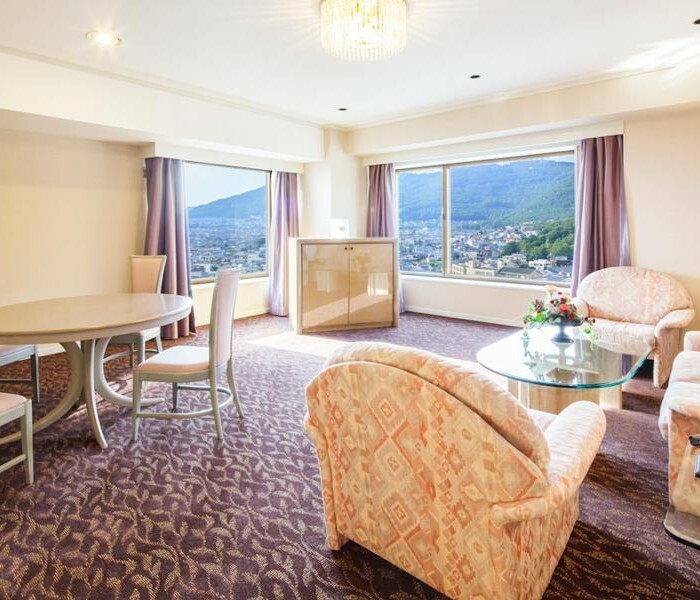 Bidding goodbye to Matsumoto, you will drive straight to the Takato district of Ina city. 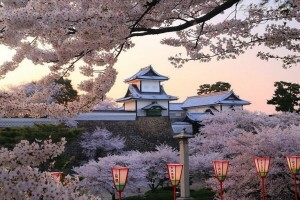 Putting both the “festive” and “sakura” in the name of this tour, Takato’s Castle Ruins Park is said to be one of, if not the best cherry blossom spot in the whole of Japan. 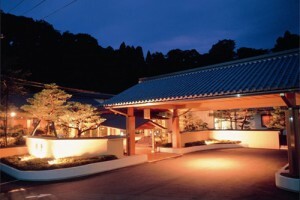 The unique Kohigan-sakura that blooms in abundance in this area is said to be the best variety of cherry blossoms in the world. 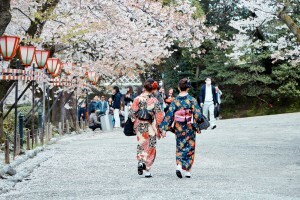 The Cherry Blossom Festival takes place throughout the month of April, and as such there is no shortage of activity in the vast grounds of the park. 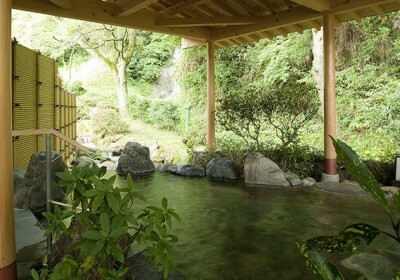 Explore the entirety of the castle ruins and appreciate the dainty, deep-pink petals that blanket the landscape. 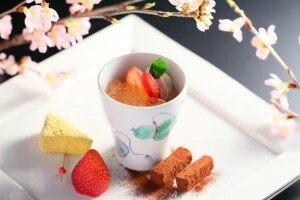 Also experience a picnic under the cherry trees with snacks and drinks. 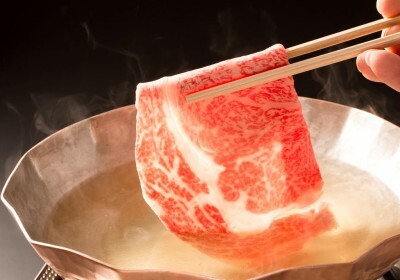 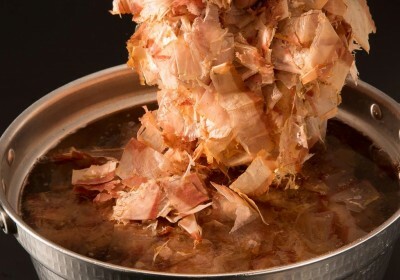 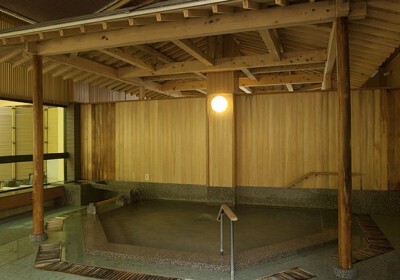 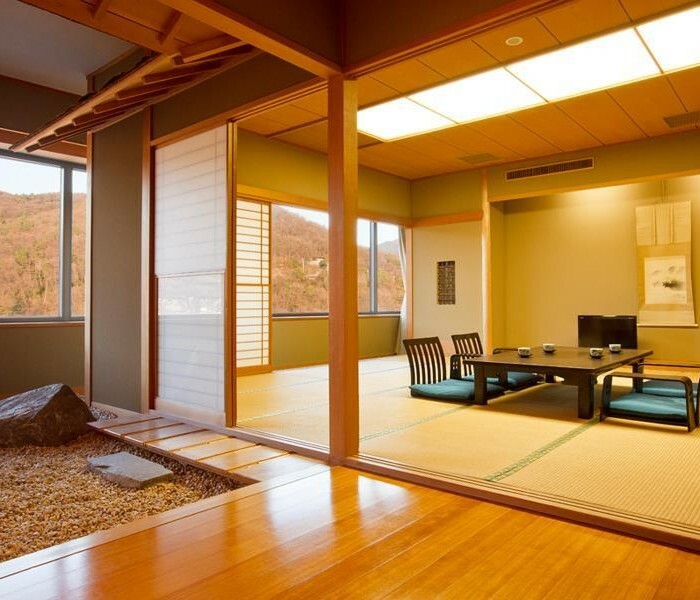 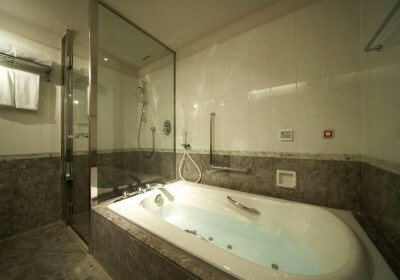 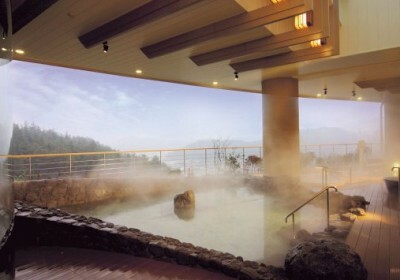 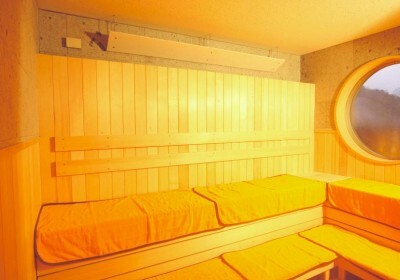 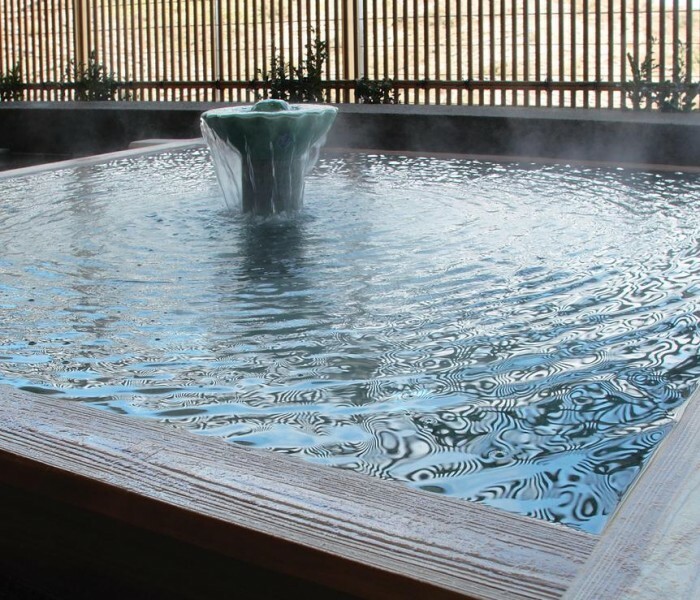 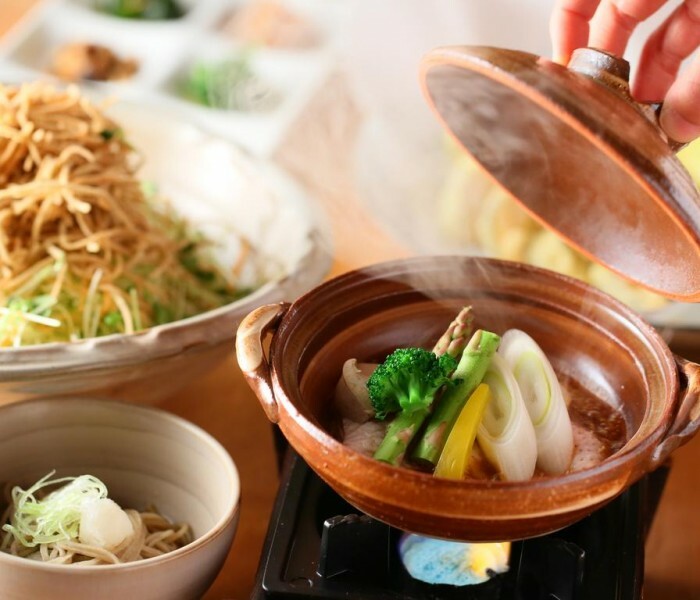 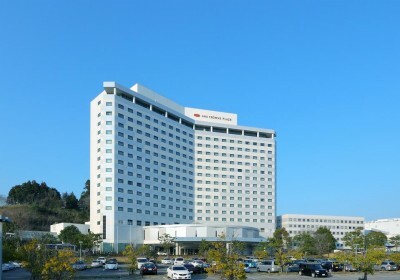 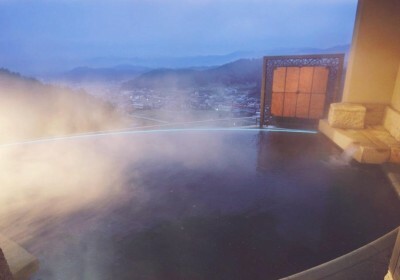 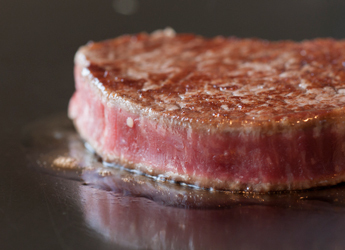 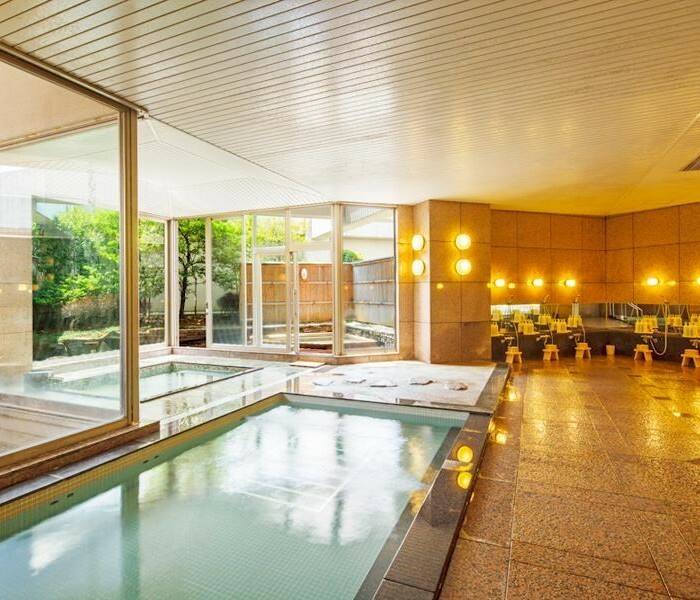 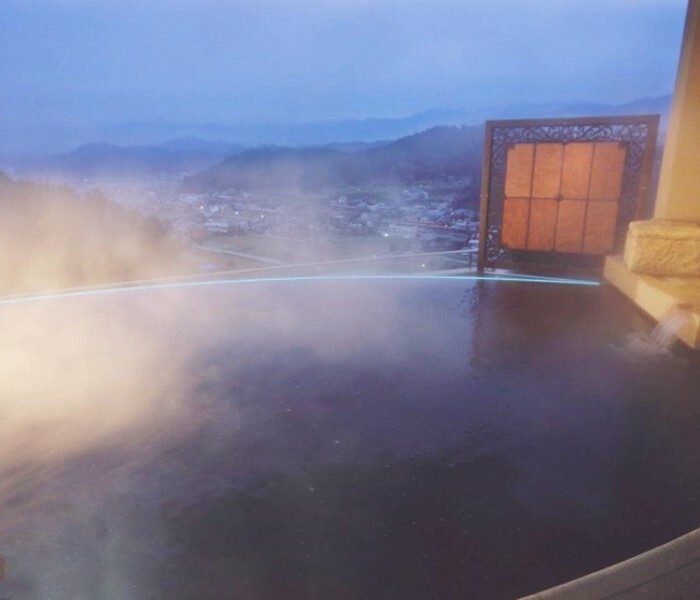 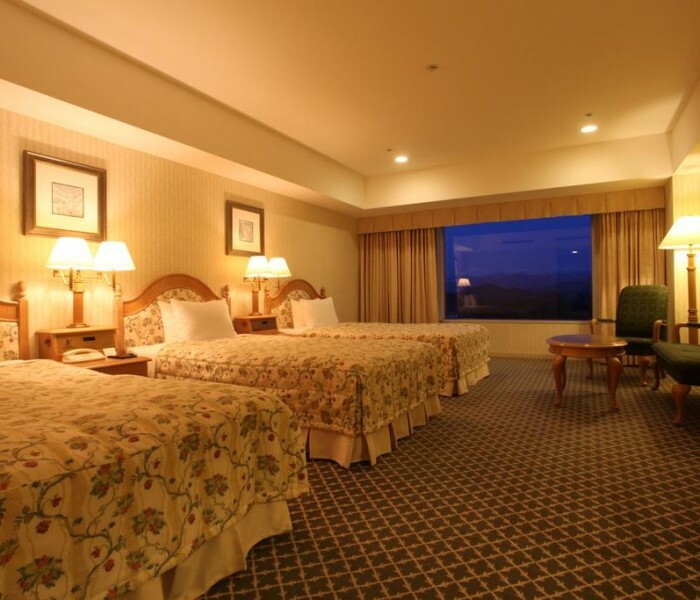 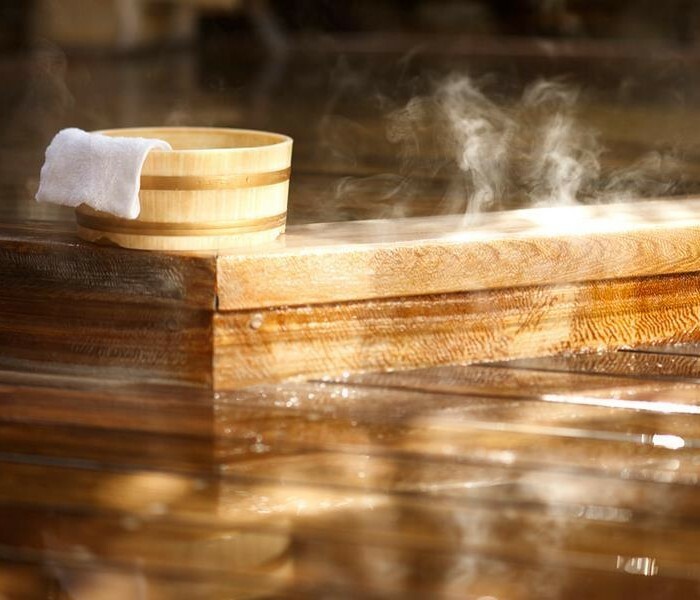 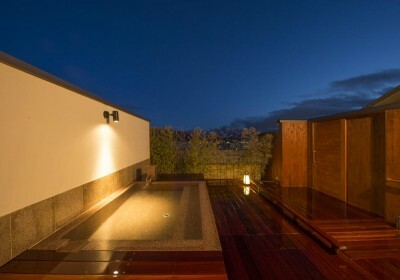 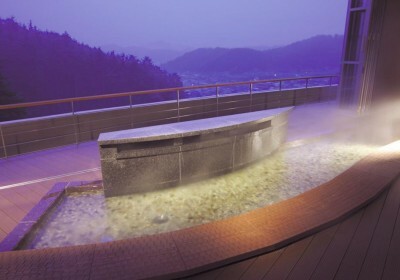 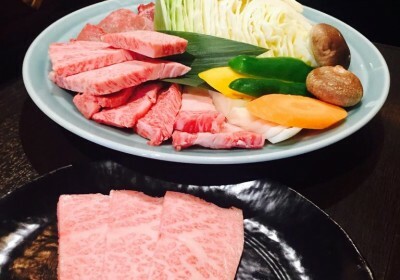 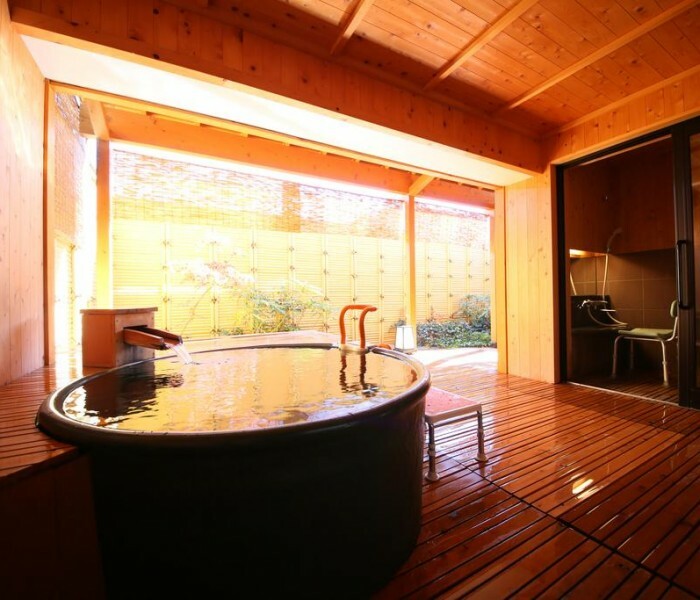 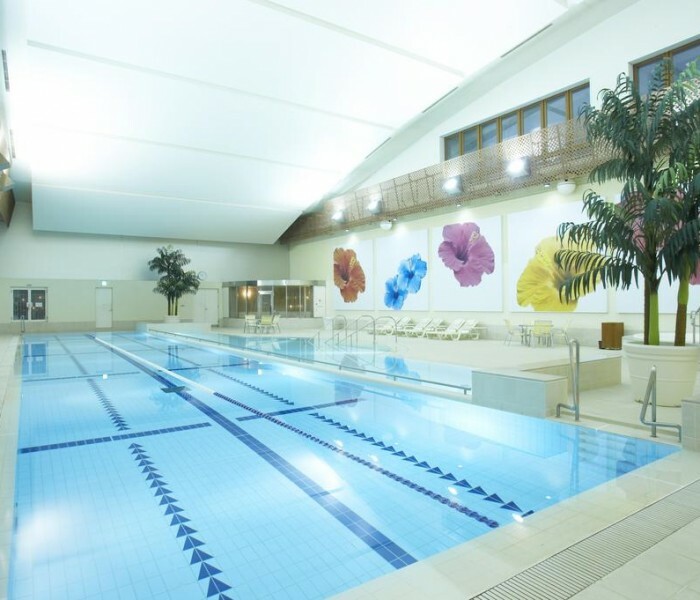 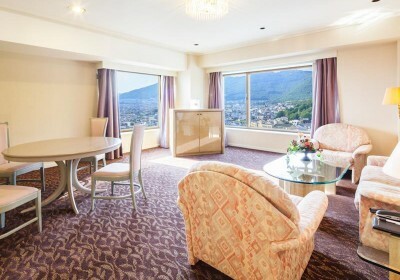 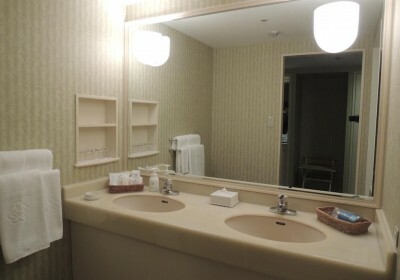 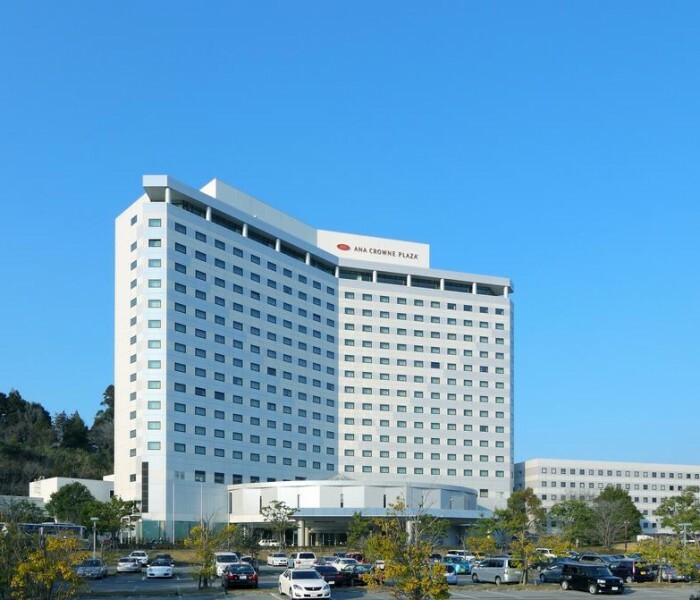 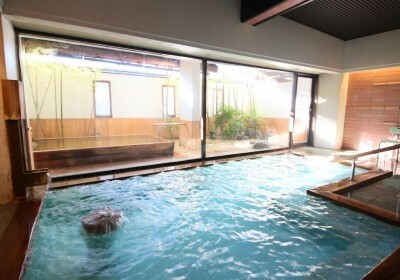 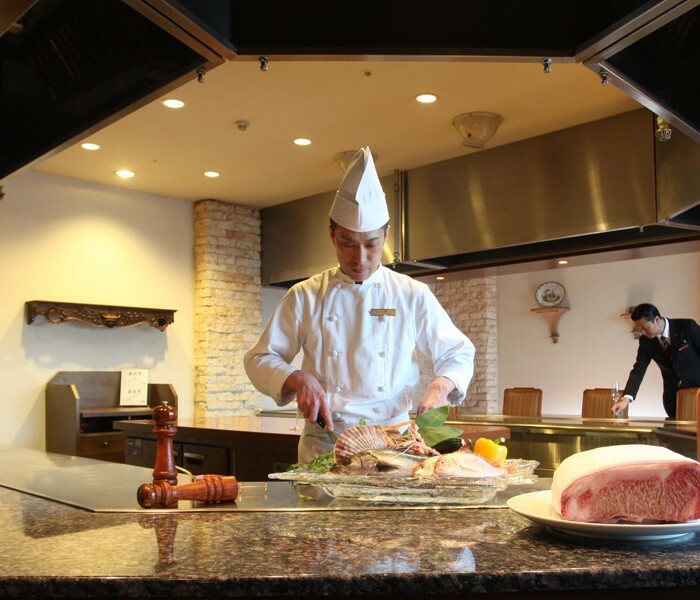 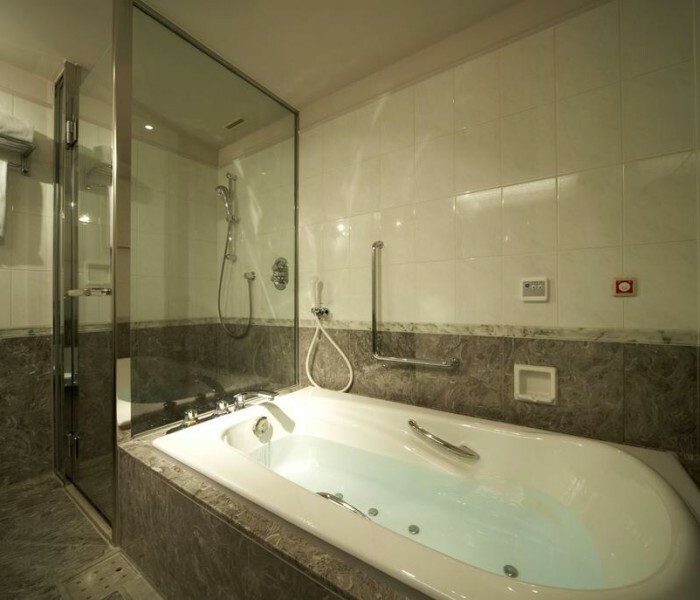 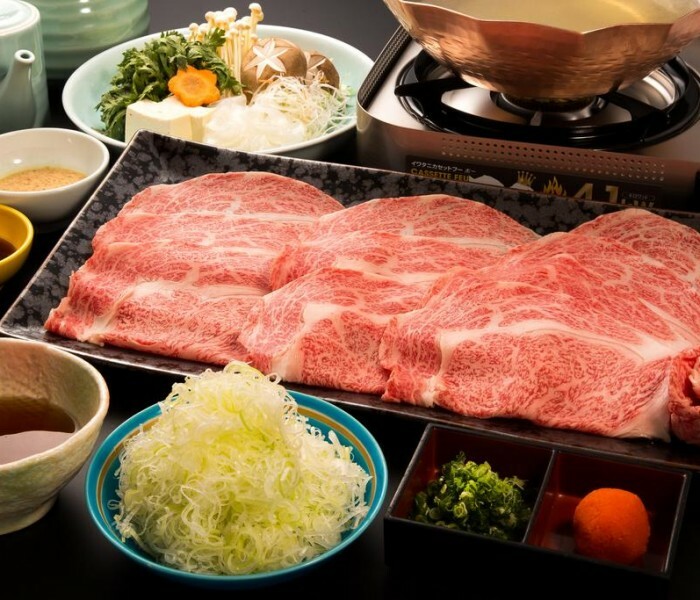 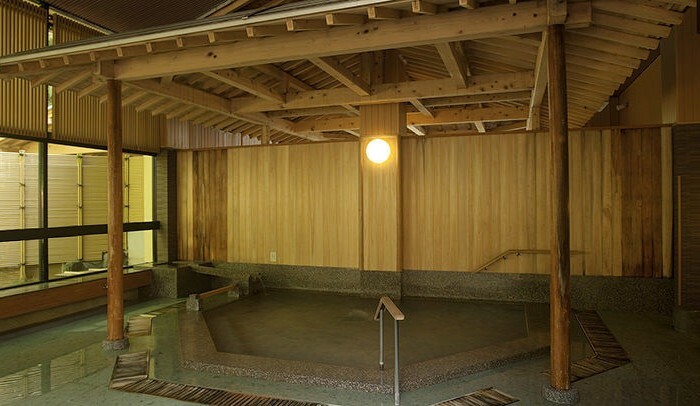 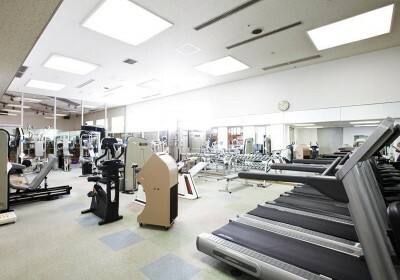 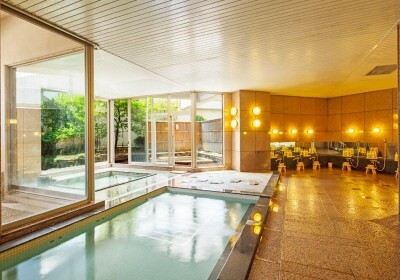 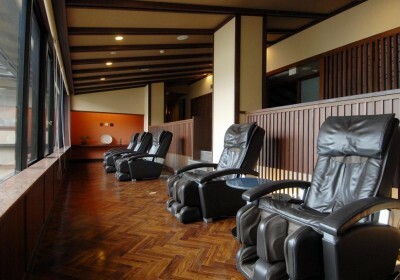 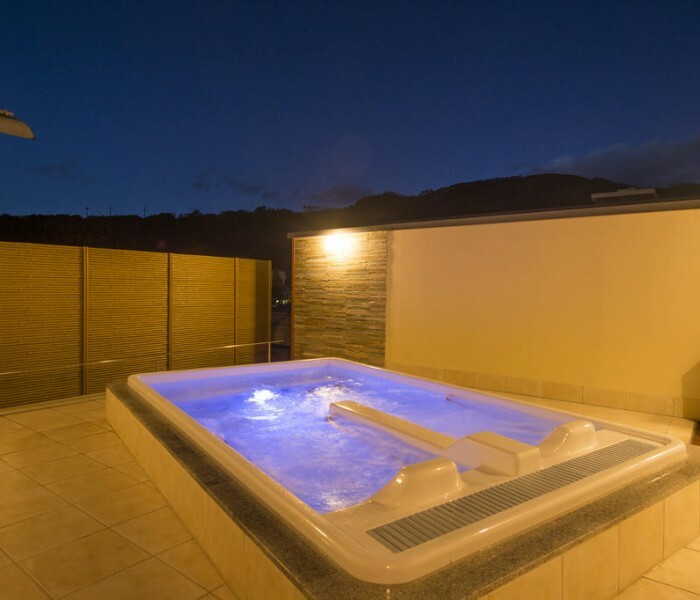 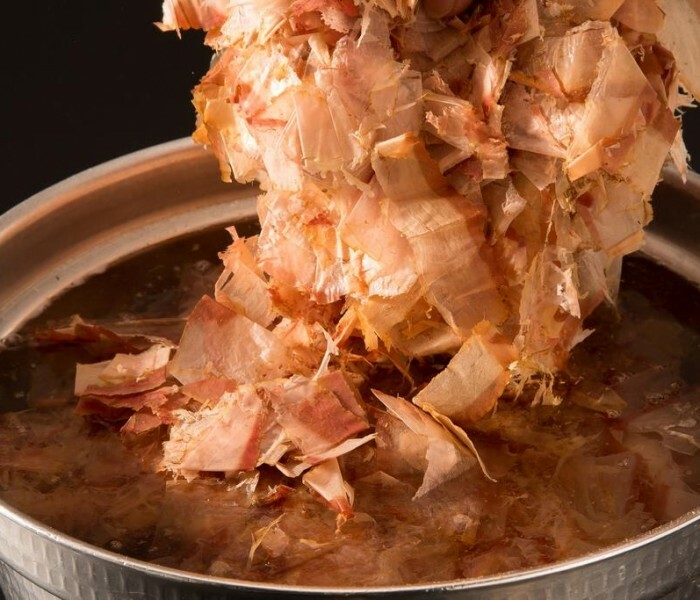 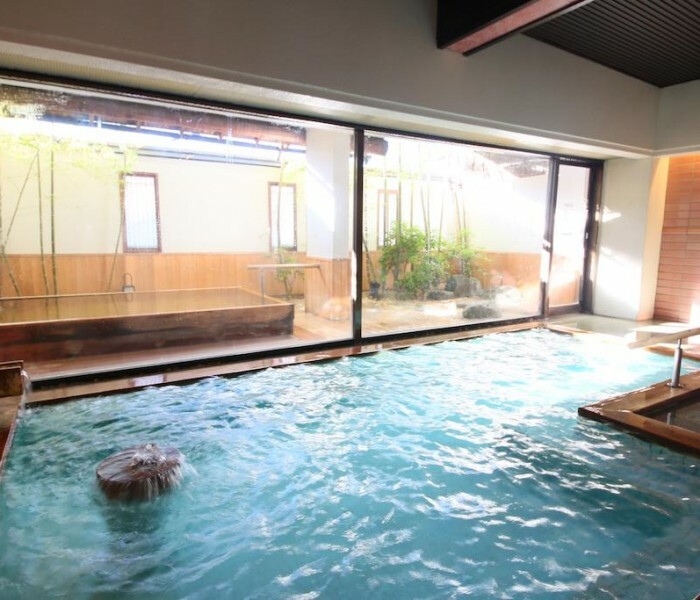 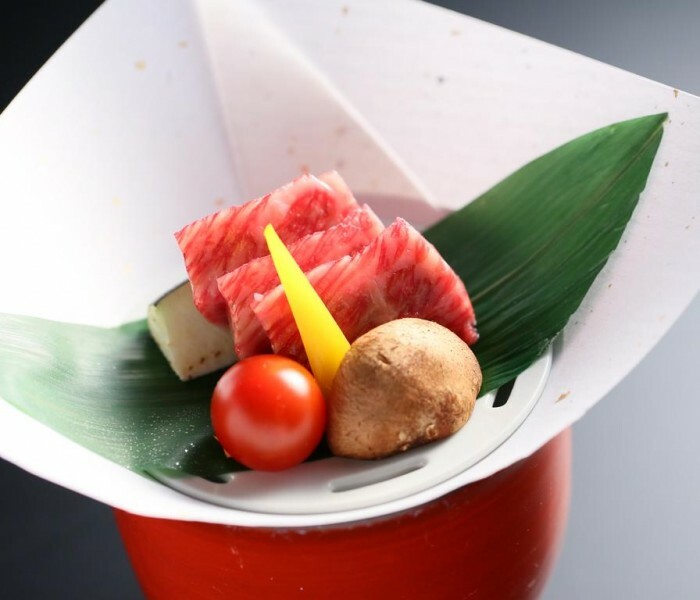 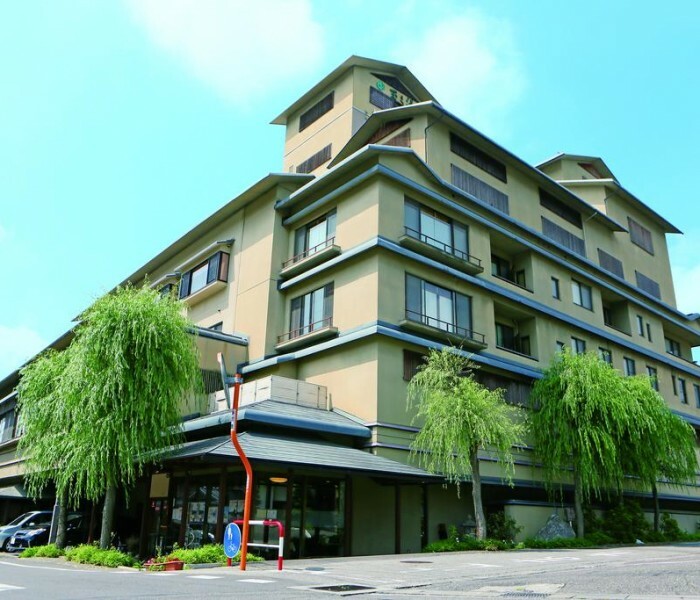 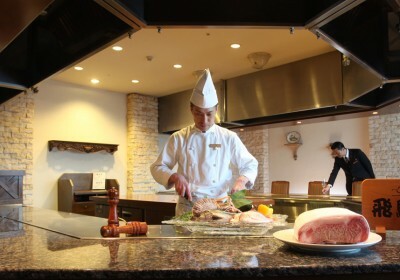 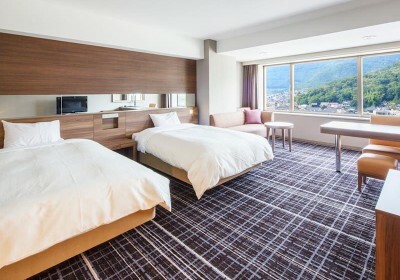 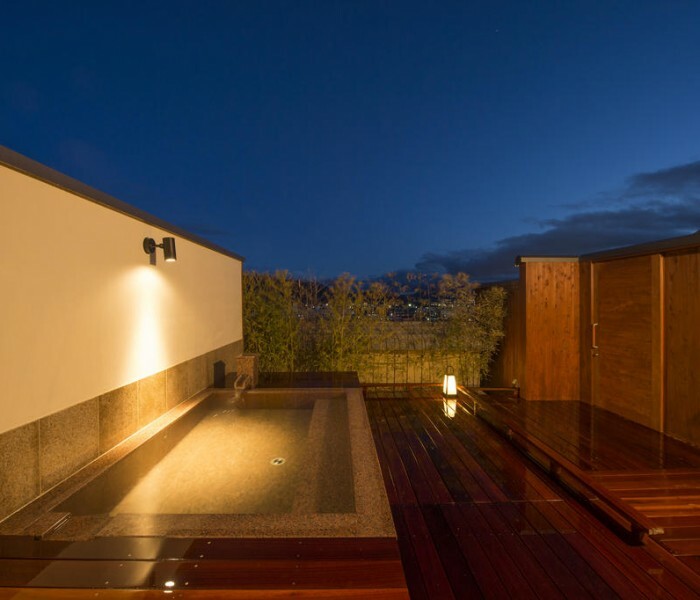 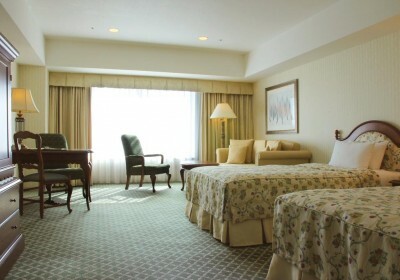 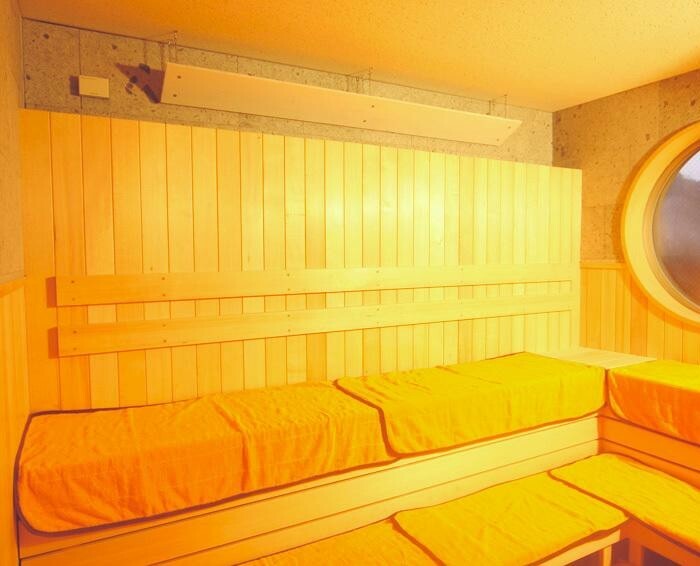 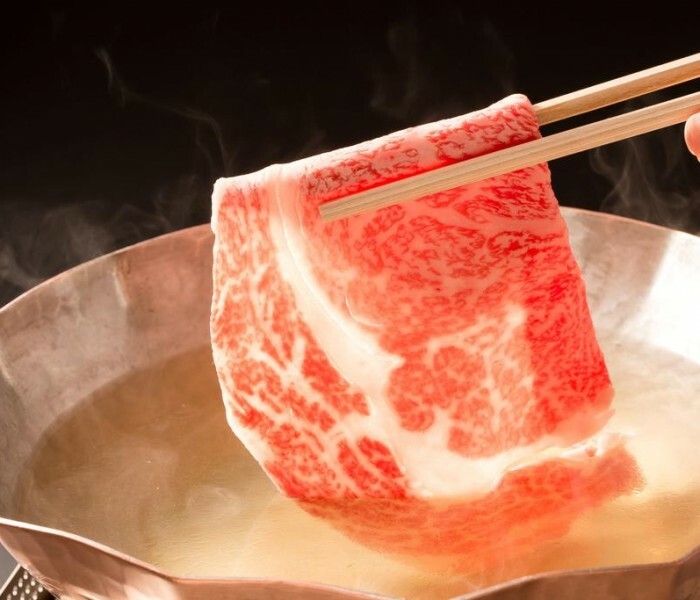 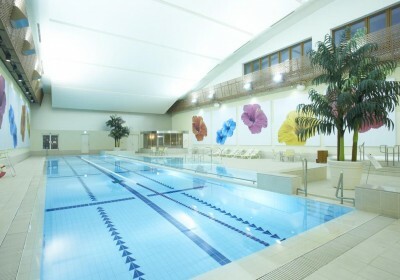 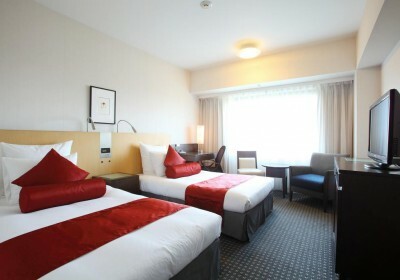 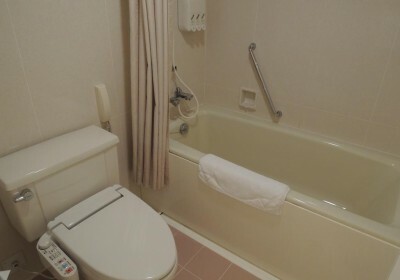 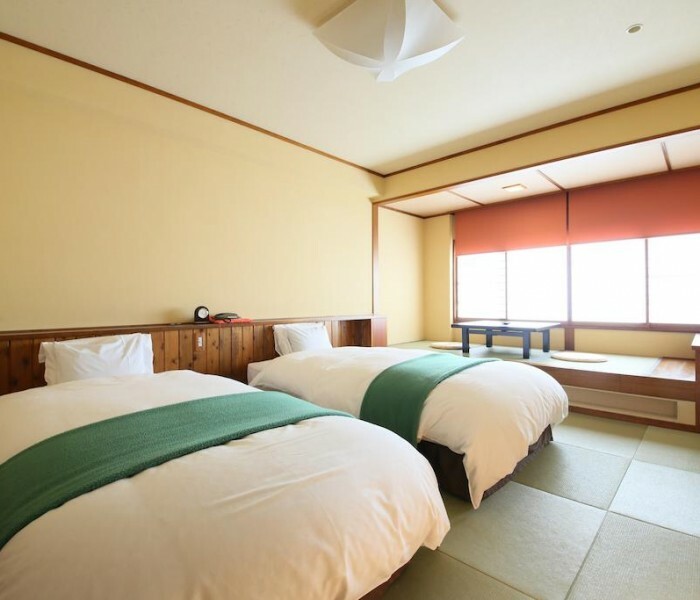 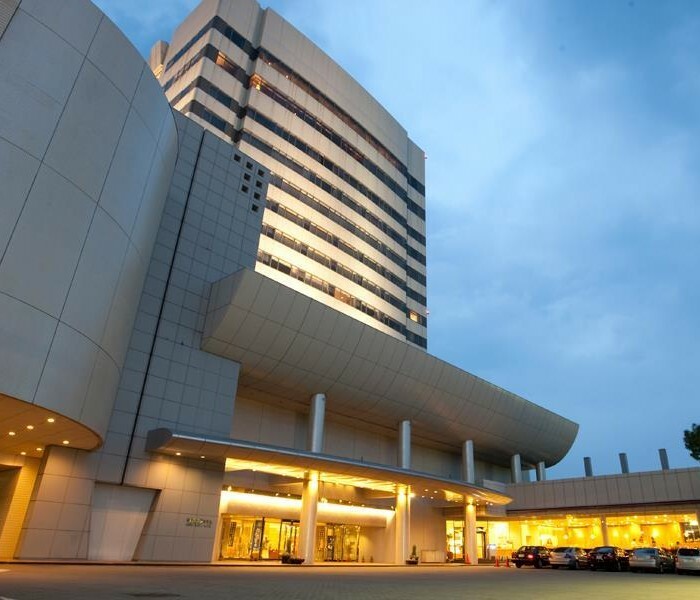 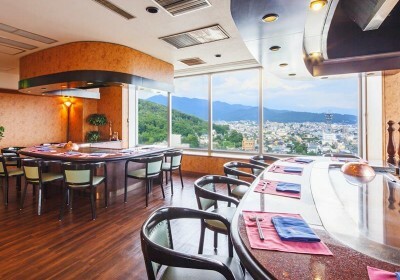 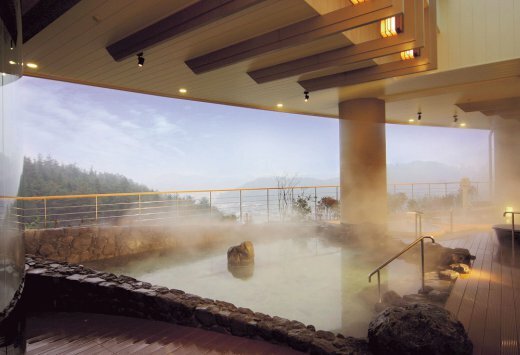 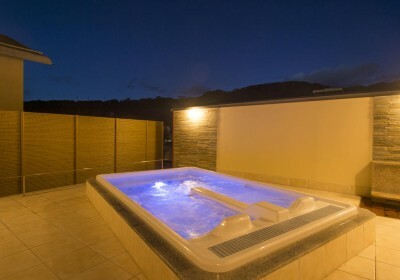 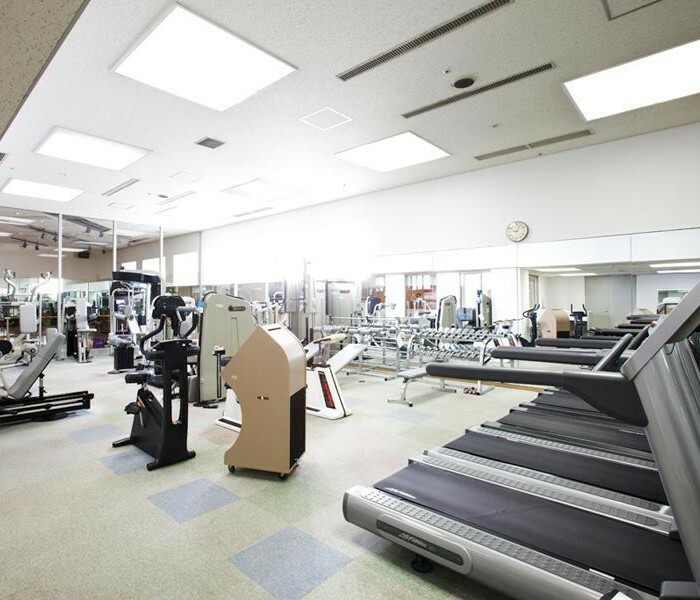 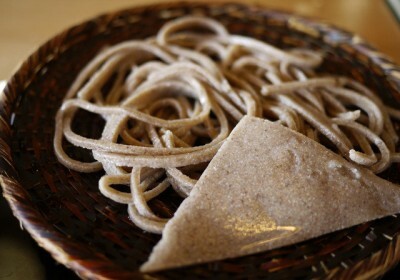 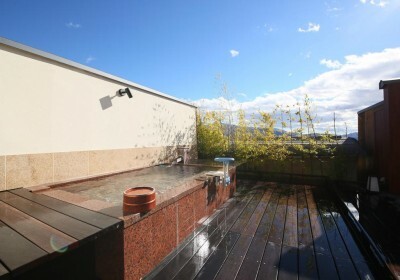 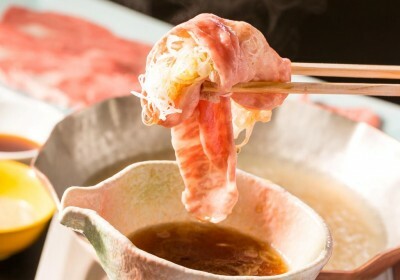 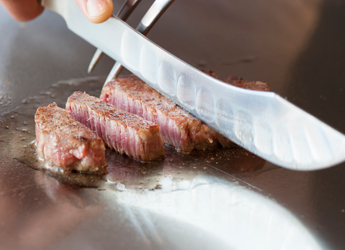 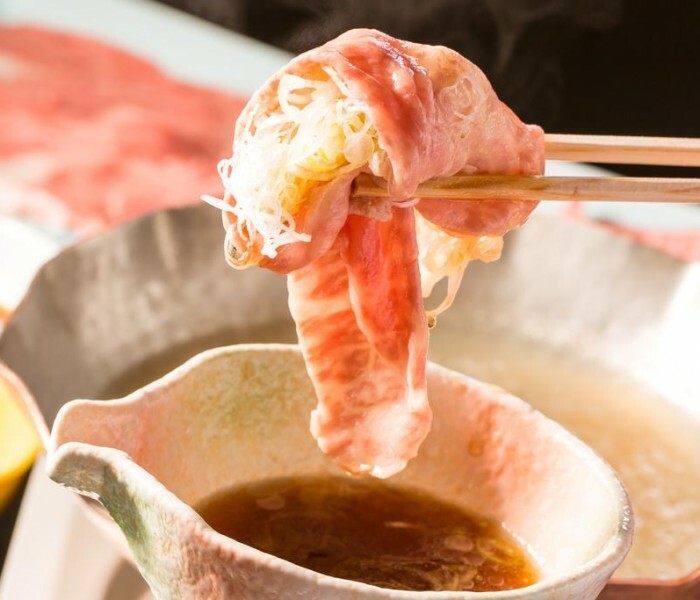 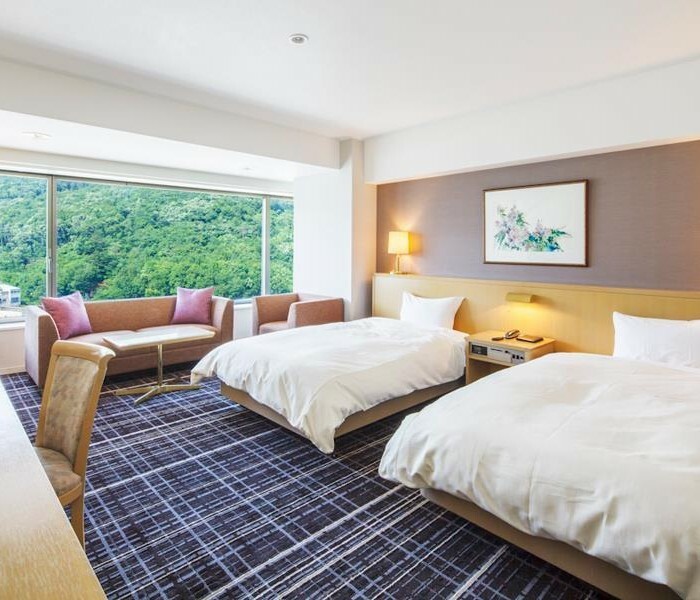 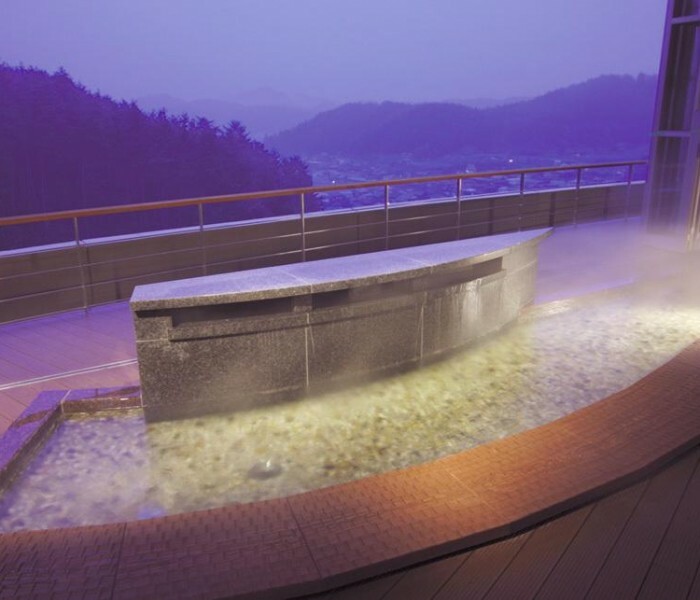 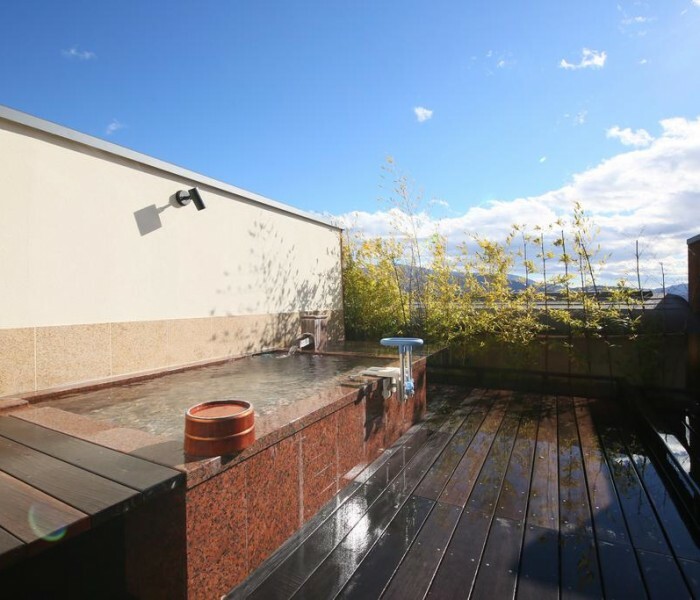 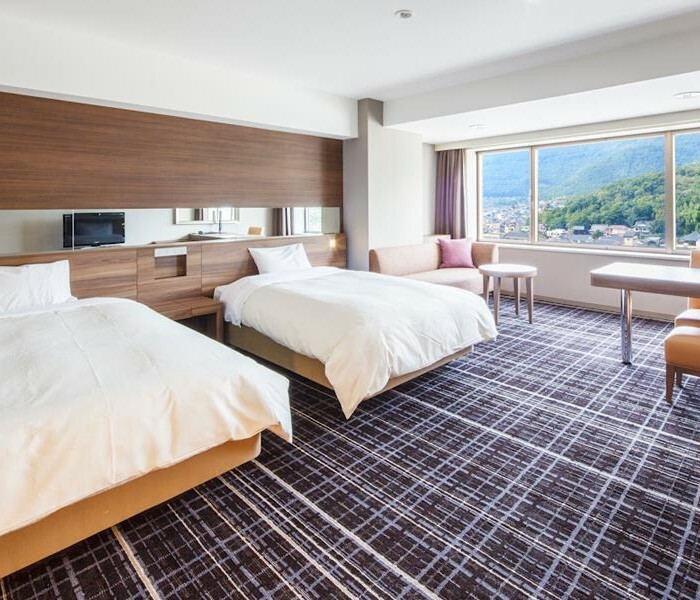 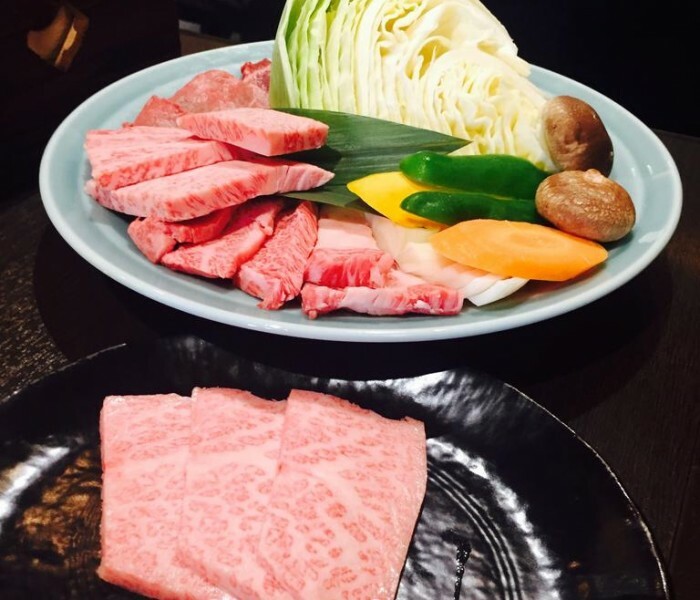 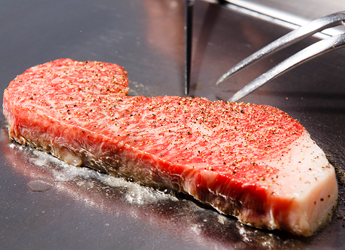 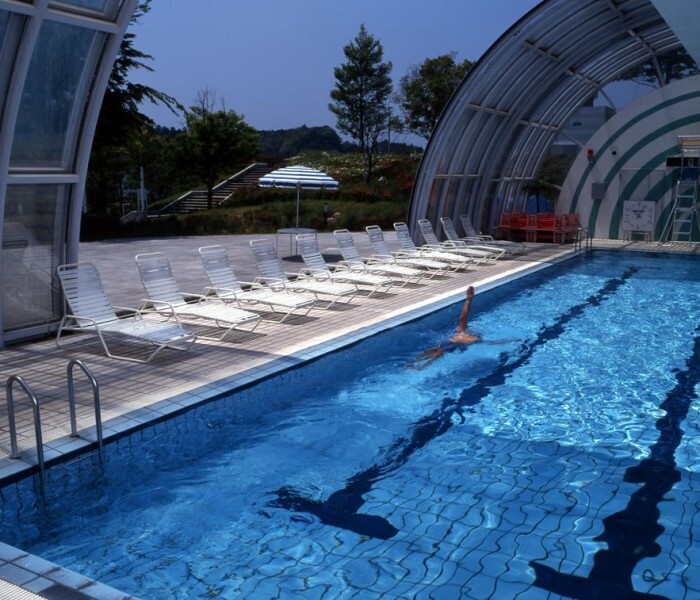 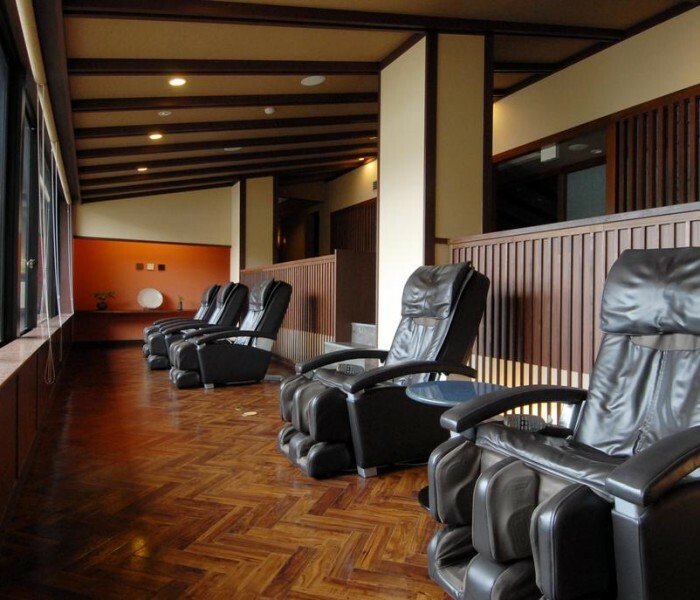 Later in the afternoon, you will be taken to your hotel in Kofu, where you can enjoy a good rest and a relaxing hot spring bath, and an especially delicious serving of Koshu beef. 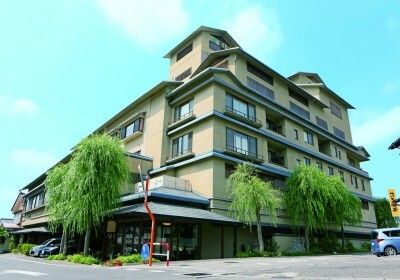 The venerated Mt. 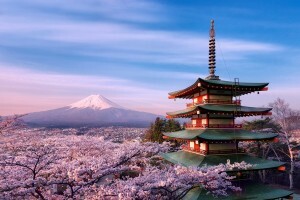 Fuji is always beautiful -- and doubly so in spring, when the snow is still fresh but the scenery warm thanks to the bright colors of the cherry blossoms. 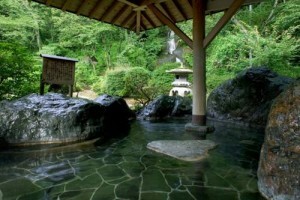 The best place to view this combination is undoubtedly by the Chureito pagoda of the Arakura Sengen Shrine. 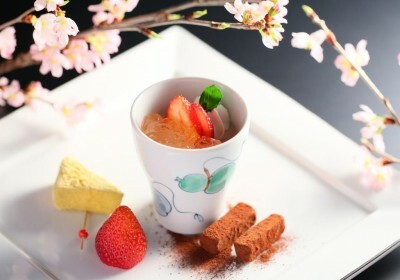 Just a little past its peak, the sakura is nonetheless very picturesque on the 17th to 18th of April as it forms an apparent sea of pink, above which the great mountain seems to float. 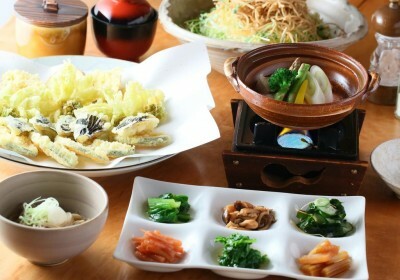 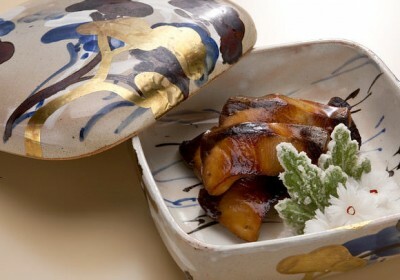 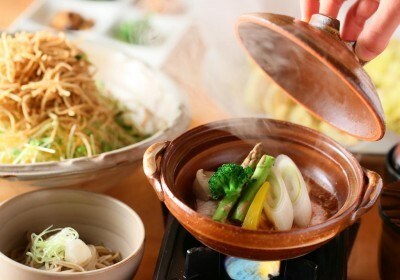 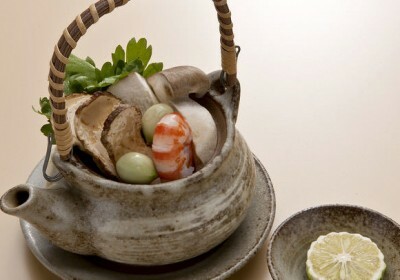 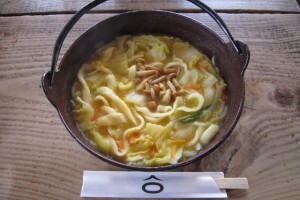 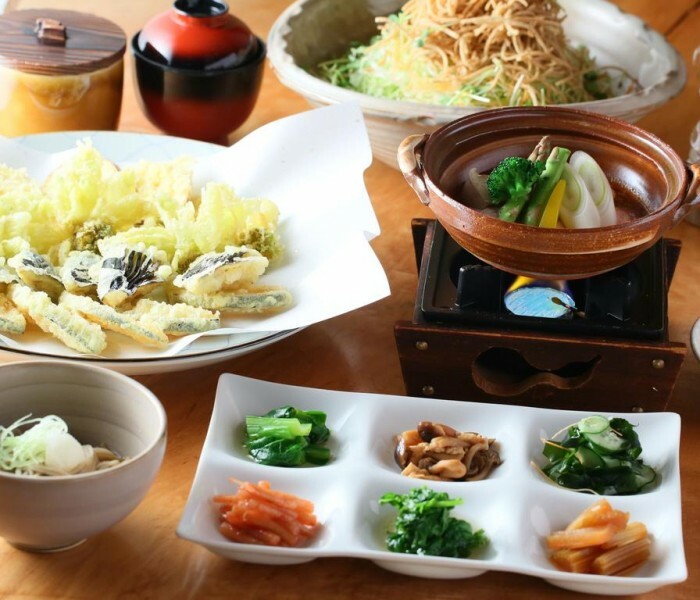 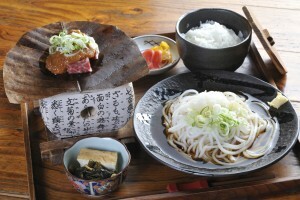 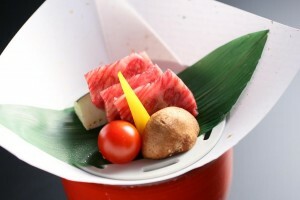 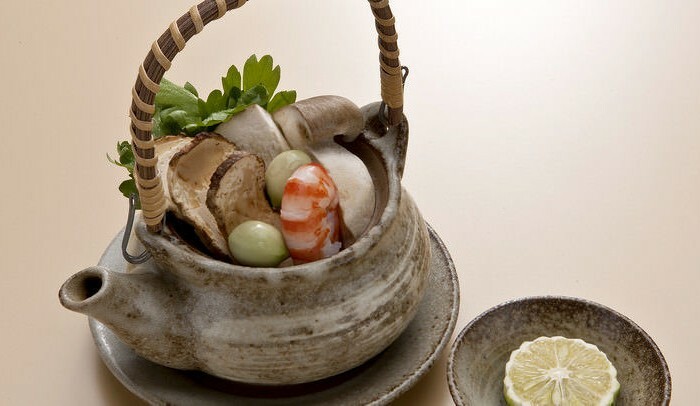 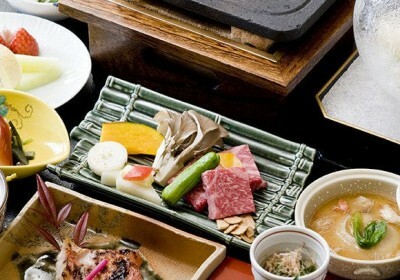 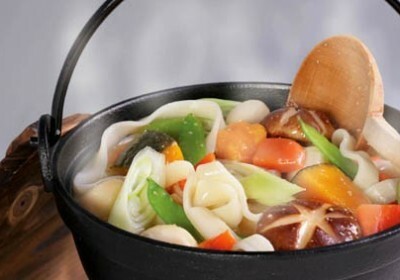 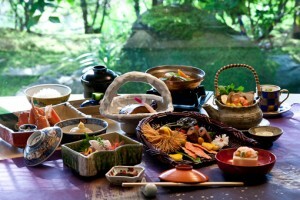 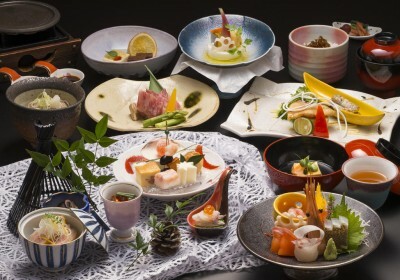 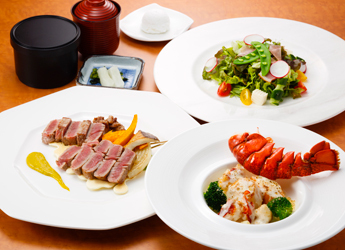 You will enjoy the signature dishes of the area, hoto udon, for lunch. 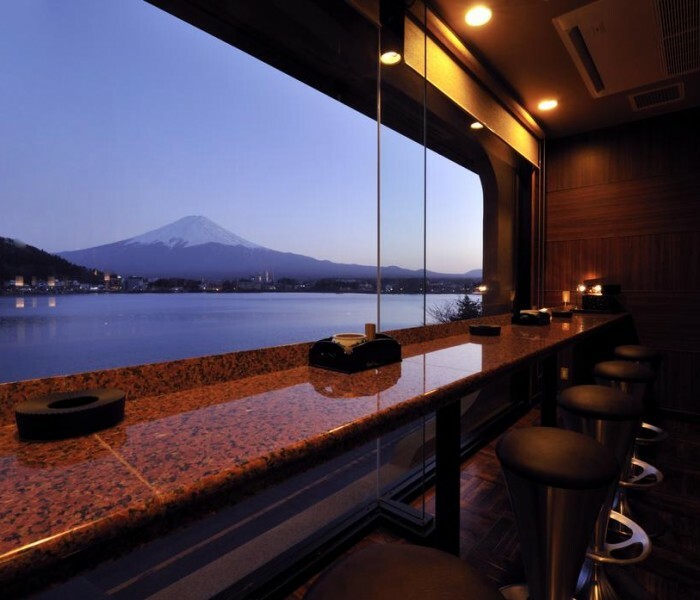 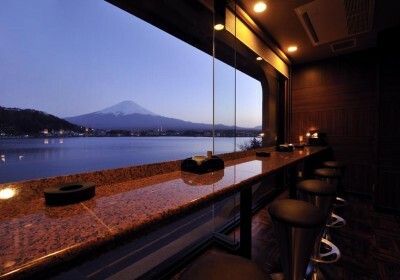 Afterward, you will be driving around the beautiful Lake Kawaguchi to see Mt. 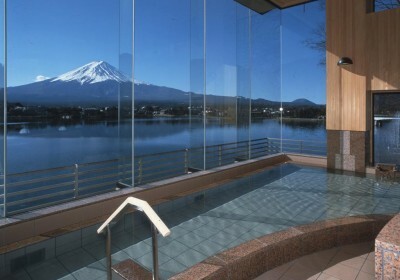 Fuji from another impressive angle. 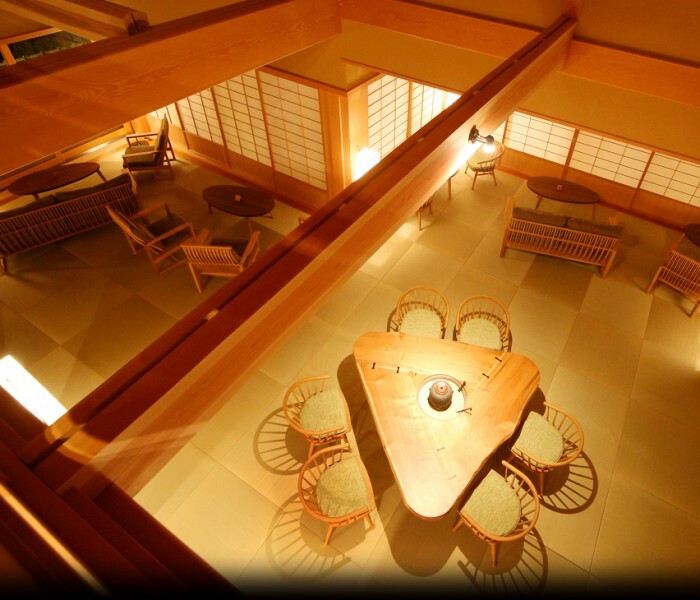 Your last stop of the day, the Itchiku Kubota Art Museum, displays an intricate form of kimono art that epitomizes the Japanese culture. 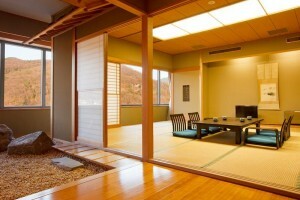 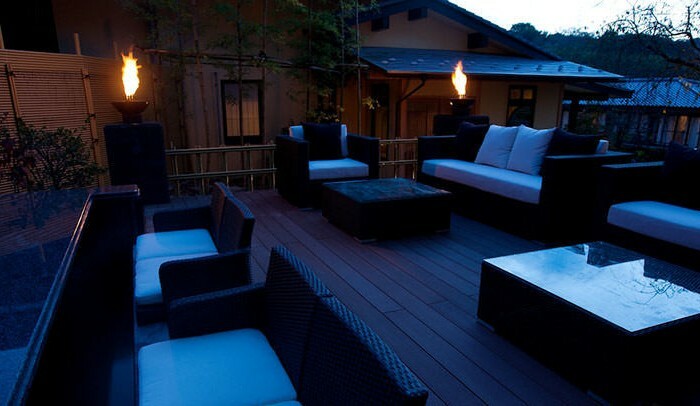 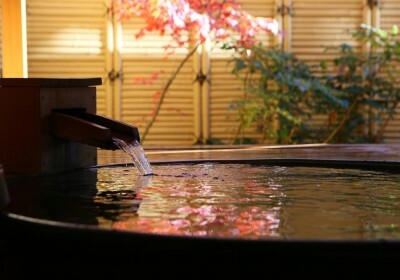 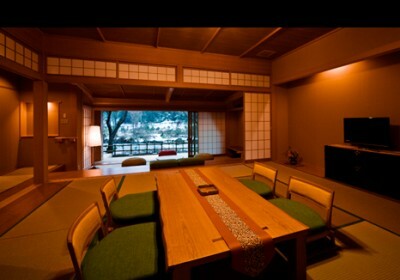 At the end of the day is another stay in a ryokan near Mt. 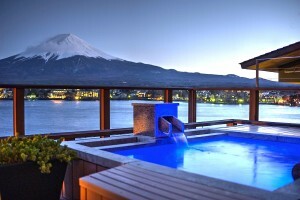 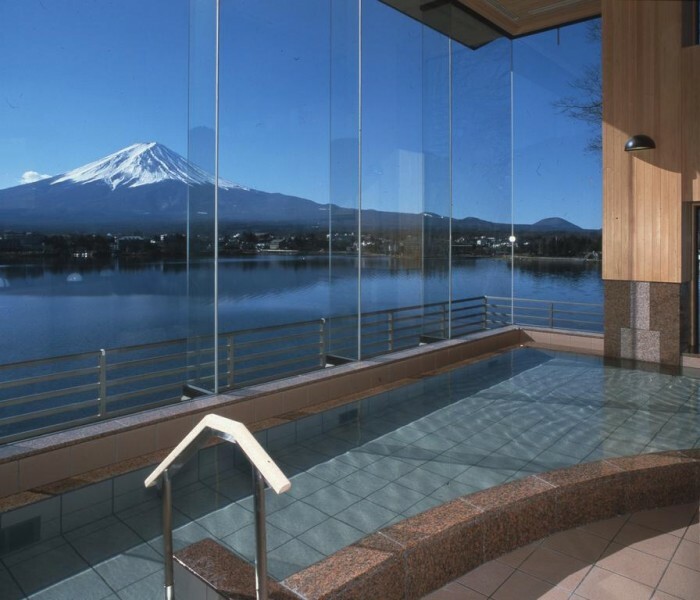 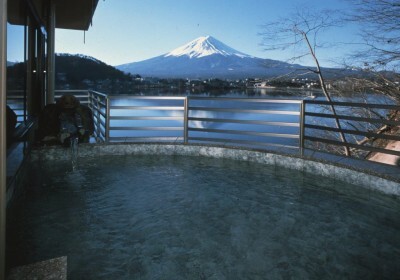 Fuji, where the view is superb and the onsen divine. 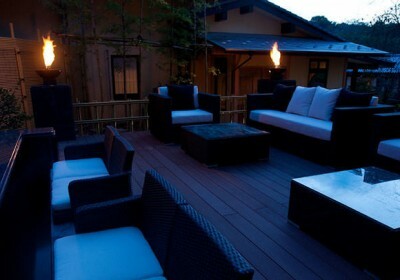 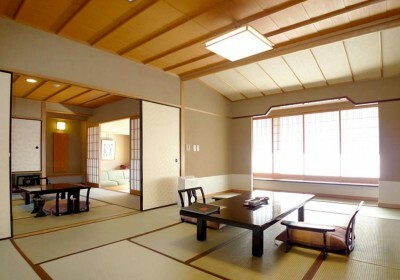 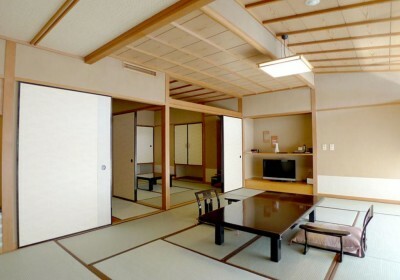 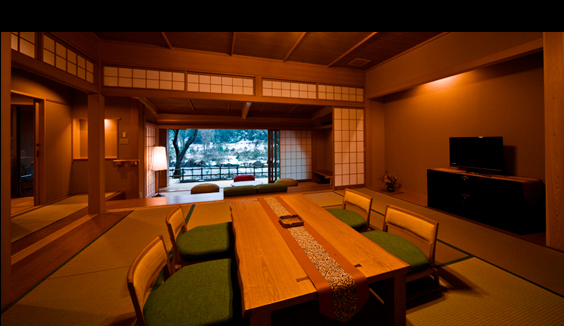 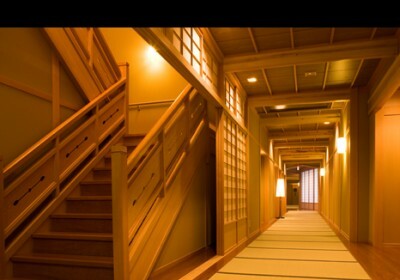 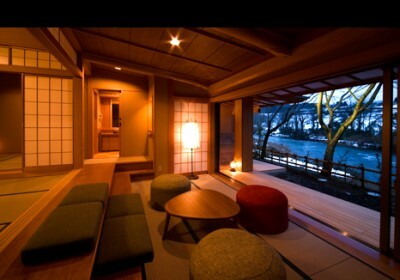 Checking out of your ryokan, you will return to Tokyo in the morning of your second last day in Japan. 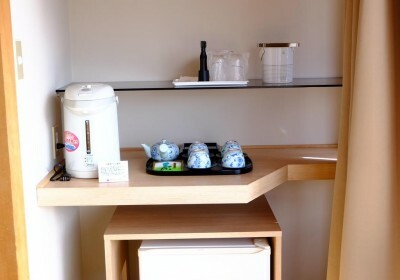 Arriving in Tokyo just before noon, you will use this opportunity to drive around the spots you might have missed on your first two days. 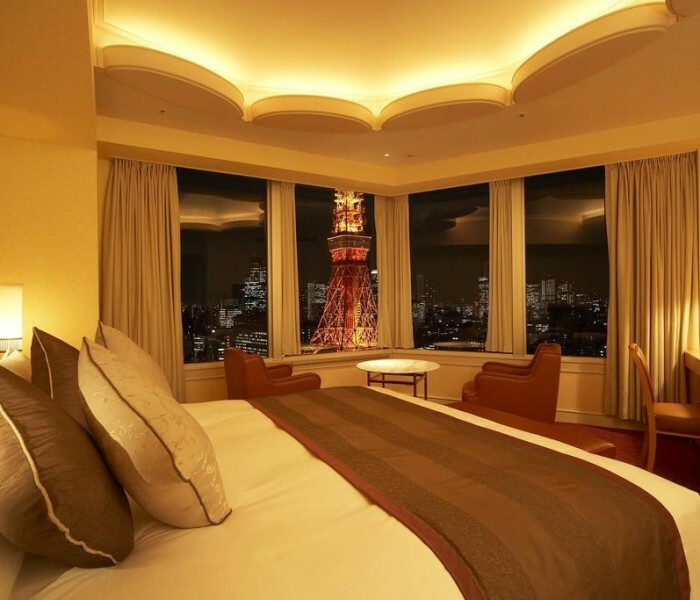 Afterward, you will celebrate the completion of the guided tour in Shiba Tofuya Ukai, again in the vicinity of Tokyo Tower. 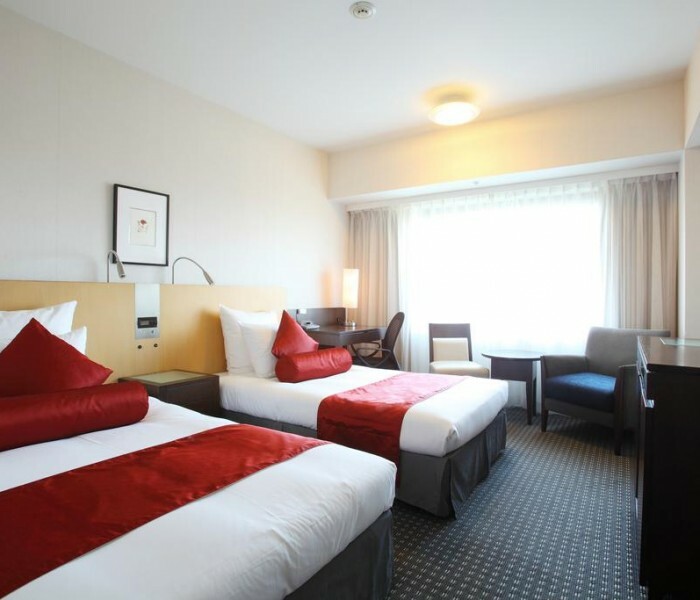 Finally, you will be transferred to your hotel in Haneda/Narita, from which your airport of choice can be easily accessed. 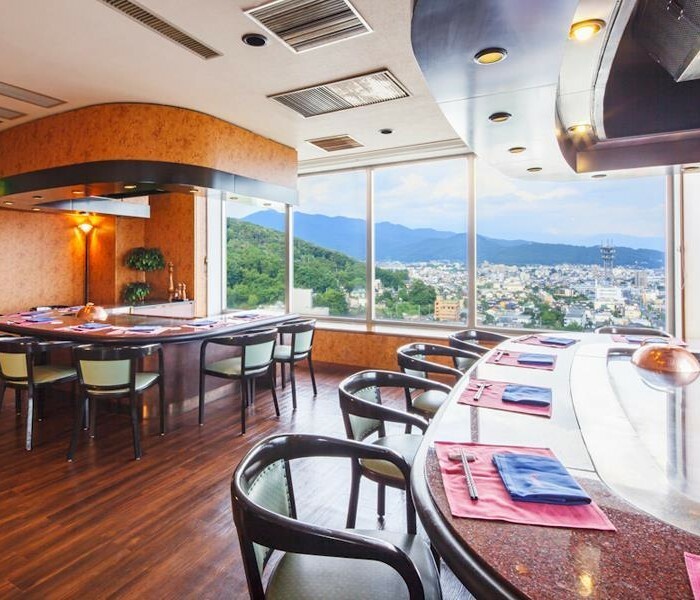 You have completed the Festive Sakura tour! 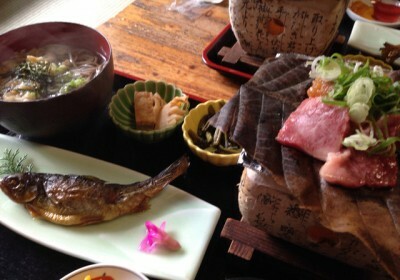 We hope that you enjoyed your trip with ILJT! 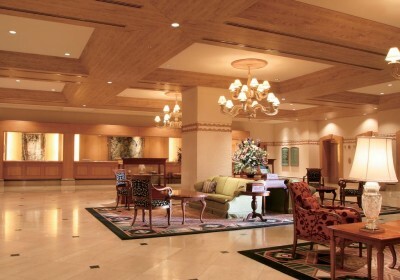 On the last day, you will check out of your hotel and conduct an independent transfer to the airport. 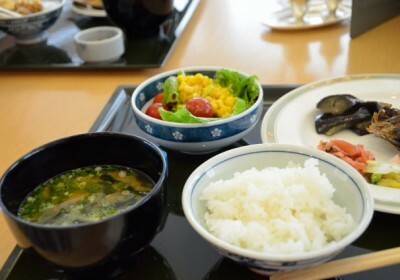 Have a safe flight back home, and see you again soon!